During the summer months one of the nicest simple wines to break out is Bardolino Chiaretto, an eminently drinkable rosè made from the same varietals -- Corvina, Rondinella and Molinara -- also used to make Bardolino, which is red. Some of the region's winemakers also make a sparkling version of Bardolino Chiaretto, Bardolino Chiaretto Spumante. Which can be even nicer. The 2010 vintage was relatively cool and wet, which makes for lively acidities, and the 2010 Bardolino Chiaretto Spumante, lightly chilled, will be quite nice at cookouts or picnics, and also be a pleasant vino a tutto pasto, (to be drunk throughout the meal) that will work quite well with lighter summer dishes, including pasta salads, stuffed vegetables, and meat dishes served cool. Pale salmon pink with fine persistent perlage. The bouquet is fresh, with wild strawberries and some minty herbal notes laced with sweetness of strawberry jam. Quite fresh. On the palate it's lively, with bright mineral strawberry fruit supported by both sparkle and by some mineral acidity, and flows into a long peppery finish with some pungency from the sparkle. Quite pleasant in a fresh lively key and will work very well with simple pasta dishes or risotti -- vegetable based, with fish -- and will also be nice wi5th creamy main courses, while one could push it into service with pizza too. In short, versatile, and one could also drink it lightly chilled far from the table. Worth seeking out. Pale rose with brilliant pink reflections and fine white perlage. The bouquet is fairly fresh, and rather mineral, with some berry fruit and some bitterness with slight sweetish accents and hints of bramble. On the palate it's fairly bright, with bitter brambly berry fruit supported by minerality and sparkle that flow into a clean rather bitter brambly finish. It's fairly direct, and more of a food wine than a wine to drink far from the table. Pale onionskin salmon with fine white perlage that's quite persistent. The bouquet is fairly bright, with brambly sparkle and some minerality laced with slight pungency and hints of wet bread. On the palate it's bright, with fairly rich bh fruit that has slight blackberry accents and is supported by both sparkle and berry fruit acidity, and flows into a fresh sour finish that gains depth from peppery sparkle. The nose is a little behind at present, but it's pleasant in a sunny sort of way and will work nicely as an aperitif, or with creamy first course dishes, and could also be pleasant at table with creamy main course dishes. Friendly, and this is what Chiaretto is all about. Worth seeking out. Pale rose pink with fine white perlage. The bouquet is fairly rich, with cherry and strawberry fruit supported by slight sweetness and slight menthol. Fresh. On the palate it revolves more around minerality and savoriness than fruit, with considerable sea salt and underlying bitter accents that flow into a long bitter finish that gains brightness from sparkle. It's up front, will work nicely as an aperitif and will also work well with creamy dishes, both first course and main, and will go quickly. 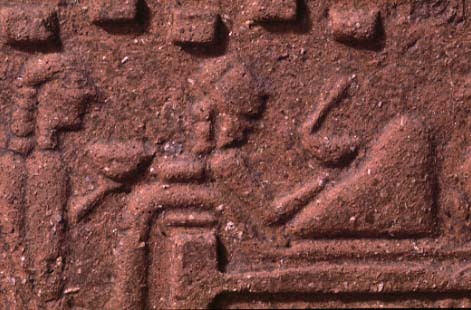 Pale rose pink with fine persistent perlage. The bouquet is fairly rich, with dusky cherry and sour raspberry fruit supported by some leafy underbrush pungency and brambly minerality. On the palate it's quite mineral, with savory brambly accents and peppery sparkle supporting it, and it flows into a clean mineral finish that gains depth from peppery sparkle notes. It's pleasant in a direct key, and will work well as an aperitif or with simple creamy dishes; expect it to go quickly. Pale salmon pink with fine white perlage. The bouquet is fairly bright, with jammy berry fruit supported by slight greenish accents and some sweetness. On the palate it's fairly rich, with greenish mineral cherry fruit supported by savory notes and sparkle, and flows into a fairly long bitter mineral finish. It will work nicely as an aperitif, and also has enough force in a fairly direct key, to work well with lake fish or similar. It will go quickly. This is a Metodo Classico. Pale onionskin with brilliant brassy reflections and fine persistent perlage. The bouquet is rich, with jammy cherry raspberry fruit that has some blackberry sweetness and slight savory acidity that adds grace. Pleasant to sniff., and as it opens there are also savory greenish accents. On the palate it's deft, with bright sour cherry raspberry fruit supported by lively raspberry acidity and by pepperiness from the sparkle, which flows into a clean bright raspberry finish with some underlying bitter mineral accents. Graceful, and distinct from the rest of the field; it's a wine that will work quite nicely as an aperitif, or with richer creamier dishes, or lake fish, and will also be nice with friends far from the table. Pale salmon pink with brassy salmon reflections and fine white perlage. The bouquet is fairly rich, with lively wild strawberries supported by some vegetal notes and slight savoriness. On the palate it's bright, with fairly rich sour strawberry raspberry fruit with lively peppery accents from the sparkle, with provides considerable fullness, and by lively berry fruit acidity with some savory minerality that flows into a clean bright finish that has some mineral accents and fades into sea salt. Quite pleasant, and quite versatile; it will work well from aperitif though creamy second course dishes. Expect it to go quickly, and you will want a second bottle. Worth seeking out. Pale rose pink with brilliant reflections and fine white perlage. The bouquet is fairly rich in a direct key, with berry fruit supported by some pungency and slight jammy accents; there's not much acidity. On the palate it's ample, with moderately rich jammy fruit supported by slight sweetness and moderate mineral acidity that flow into a clean rather bitter finish. It's up front, and quite direct, and will work nicely with an aperitif or with creamy dishes. Salmon pink with brilliant salmon reflections and fine perlage. The bouquet is fairly rich, with intense slightly greenish minerality supported by some berry fruit and cut flowers with some underlying dusky bitterness. On the palate it's fairly bright, with lively savory raspberry cherry fruit supported by fairly bright mineral acidity that flows into a clean savory finish with sour berry fruit underpinning and peppery notes from the sparkle. It will be quite versatile, and though rather direct will go quickly, and you will want a second bottle. Pale almost onionskin pink with fine white perlage and brilliant onionskin reflections. the bouquet is fairly intense, with brambly minerality and a degree of pungent cut flours with some savory accents as well. On the palate it's fairly direct, with moderately intense berry fruit that has some sweetish accents and is supported by sparkle and bitter undertones that flow into a fairly long bitter finish It's pleasant in a fairly direct key, and will drink nicely as an aperitif or with creamy dishes. Pale onionskin pink with brilliant reflections and fine perlage. The bouquet is fairly rich, and decidedly mineral with some brambly accents and slight brambly fruit that is supported by some mineral acidity. On the palate it's bright, with lively sour berry fruit supported by scrappy brambly accents and bitter minerality that flows into a fairly bitter finish that gains depth from minerality. It's pleasant in a rather mineral key, and will be quite versatile at the table. Pale salmon pink with brilliant salmon reflections and fine white perlage. The bouquet is intense, and decidedly more vegetal and brambly than many, with some red berry fruit and sea salt as well. On the palate it's bright, with sour cherry fruit supported by savory minerality and some bitterness, while there is also some sour berry fruit acidity, and it flows into a fairly long sour berry fruit finish with some peppery notes. It's fairly direct, but has a scrappy liveliness to it, and will be quite nice with rich foods, including fried fish. It grew on me. Pale pink with brilliant pinkish reflections and fine white perlage. The bouquet is fairly rich in a direct key, with sour cherry fruit supported by greenish pungent accents and hints of mentholated sweetness. On the palate it's decidedly sweet by comparison with the rest of the field, with moderately intense sour berry fruit supported by berry fruit minerality that gains depth from the sparkle, and flows into a fairly long rather sweet finish with some bitter underpinning as well. It's more direct than some, and there is the sweetness, which will make it more of a wine to drink as an aperitif than with the meal, I think. Pale salmon pink with salmon reflections and fine white perlage. The bouquet is fairly rich, and fairly sweet, with cut flowers and fairly intense minerality mingled with some savory notes as well. On the palate it's fairly direct, with powerful mineral laced sour cherry fruit supported by bitter accents and sparkle, which flow into a fairly long savory finish with lasting bitterness and sparkle. Pleasant in a direct key and will be versatile, working well with a variety of foods, from antipasti through fried fish or fried meats and vegetables. Expect it to go quickly. Salmon with brilliant salmon reflections and fine white perlage. The bouquet is fairly intense, with greenish bitter accents, mingled with minerality and spice. On the palate it's moderately sweet and quite mineral with some underlying savory accents that carry into a fairly mineral finish that gains depth from savory sparkle. Pale onionskin pink with brilliant almost brassy reflections and fine white perlage. The bouquet is intense, with greenish vegetal accents mingled with sour berry fruit and some bitter pungency that brings wet leaves to mind. On the palate it's bright, with pleasant sour berry fruit supported by minerality and berry fruit acidity, and by peppery accents from the sparkle, which flow into a clean bright mineral finish with cherry raspberry underpinning with slight sweetness that provides a bit of roundness. It's graceful in a bright key, and will be quite versatile at table, and because of the sweetness that underpins it. Will also be nice with friends far from the table when you want a wine to open and drink without making it the center of attention. Pale pink with brilliant pinkish reflections and fine perlage. The bouquet is pungent, with slightly bitter brambly accents that are clearly youth, and as they blow away jammy berry fruit with fairly bright berry fruit acidity. On the palate it's fairly direct, with bright mineral laced sour berry fruit supported by mineral acidity that carries into a long mineral finish that gains depth from the sparkle, and slight underlying bitterness. It's pleasant in a scrappy tomboyish key, and because of its acidity will work well with a variety of dishes, including the fried meats or fish that are so nice on a hot day. Expect it to go quickly, and you will want a second bottle. This is all conjecture: The Etruscans left few written records, and nobody knows what the complex at Poggio Civitate, a hill south of Siena near the town of Murlo, was. 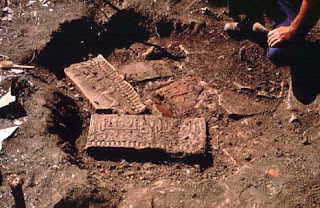 However, the footprint our man left in an unfired roof tile is dramatic proof of the suddenness with which destruction came: life size terracotta statues of gods and sphinxes, roof tiles, frieze plaques with horse race and banquet scenes, pottery, jewelry, all was smashed and buried. And so it remained until my father, who hoped to find an Etruscan town, began excavating Poggio Civitate in 1966. The first day a thick wall was discovered, but instead of being part of a house, it proved to be part of a huge, fabulously decorated early 5th century building. Over the years an earlier, Archaic complex (which appears to have simply burned down) emerged from the layers below the complex that had been destroyed, as did kilns, a foundry, and tombs. Though many archaeologists have interpreted the site, by analogy with modern Tuscan estates, as the palace of a prince, my father thought otherwise. In ancient times princes had armies of both slaves and soldiers, and he could see no traces of either at Poggio Civitate. He finally decided the hill was the meeting place of a North Etruscan league of some sort. This would explain the site's wealth, because each member city would have contributed to its construction, and the absence of a stable garrison, because it would have been superfluous in a structure only used for particular functions at set times of the year. 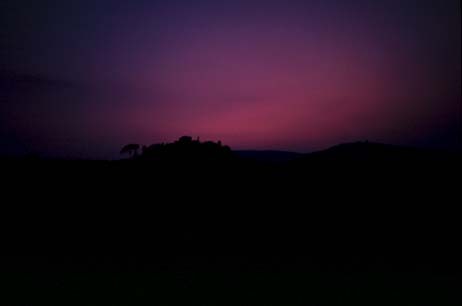 It would also explain why the hill is named Poggio Civitate, the hill of the cities, and the ritual nature of the complex's destruction, which my father suspected was carried out by the rulers of Chiusi, who wanted to eliminate a political rival. To be quite frank, the site itself is a long walk, and all that remains in the excavated areas are foot-high dry mortar walls slowly being reclaimed by the forest. Murlo's museum, on the other hand, is fascinating. 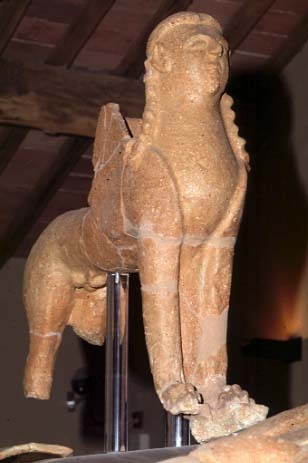 Built in the keep of what was once a fortress of the Bishop of Siena, and is now one of Tuscany's best preserved walled towns, it has an impressive reconstruction of the roof of the Poggio Civitate building, and you really do feel like an Etruscan as you look up at the sphinx on the ridge pole, or shrink back from the row of gorgon antefixes that hang off the ends of the tiles. There are also smaller objects, everything from delicate Greek vases to coarse earthenware colanders, bronzes, and tiny, exquisitely carved jewels, including a griffin that would look just fine in Cartier's. You might be wondering how my father got to Poggio Civitate. He was a close friend of Ranuccio Bianchi Bandinelli, the great Italian archaeologist, and after excavating in the early 1960s at Rosia, an Etruscan necropolis, he told Ranuccio he wanted to do something more than dig tombs. Ranuccio gave him a list of places where he thought there might be something, and Dad spent the summer of 1965 evaluating them. He settled upon Poggio Civitate, the top of a hill across the valley from Murlo, where a pit called the Buca del Tesoro (Treasure Pit) had yielded some artifacts. Murlo was a very different place then. The only water to be had was from the well in the main square, the electricity sputtered when there were thunderstorms, and dust blew up from the packed dirt of the town's streets and square when it was windy. To watch TV one had to go to the nearby town of Vescovado, where there were two sets, one in the Casa del Popolo that was the Communist Party's headquarters, and the other in a bar run by the Christian Democrats. By 1968 there was a second spigot by the gate, and by 1970 people had begin to add plumbing (and televisions) to their homes, while the packed earth streets were bricked over. And now Murlo boasts both a restaurant and a Ristorante Pizzeria, which I rather enjoyed the last time I took friends to see the museum. Monte Oliveto Maggiore, with Sodoma's magnificent frescoes of the life of Saint Benedict, is a half hour's drive, just beyond Buonconvento. San Galgano, a spectacular Cistertian monastery, and the round temple of Monte Siepi, where the saint's sword is thrust into a stone, are a half hour in the other direction, towards the Val di Merse. 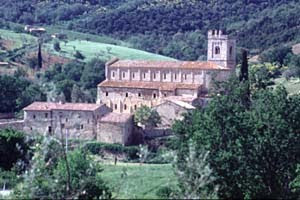 The folks at Montepulciano presented the 2008 vintage of Il Vino Nobile this year. It was pleasant, perhaps somewhat superior to the 2007, though as has been the case in the past few years, what is really important is the style of the winemaker, more than the vintage -- of the three major Tuscan red appellations Nobile di Montepulciano continues to display the greatest variability overall, with some wineries favoring extraction and considerable small new oak, and others being much more sober, with wines that are more austere and are based more on the interplay of tannin, fruit and acidity. The appellation is also expanding, as are the winemakers; in the talk before pouring began we were told that there are currently 1400 hectares of Vino Nobile vineyards, while the number of estates that bottle has climbed to 75; 35 of these which are small estates, 10 are organic, and a number have taken the steps to become biodynamic. 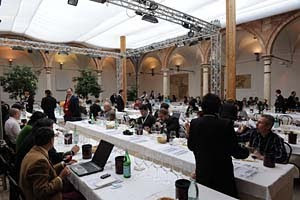 Total Vino Nobile production is 65,000 hectoliters, which is well under the maximum volume the Disciplinare would allow (100,000 hectoliters), while this year's bottle sales totaled 8 million Vino Nobile, 2 million Rosso di Montepulciano (this year the Consorzio voted to allow the use of non-cork stoppers for Rosso, a development that I think is quite positive as it eliminates the problem of cork taint), and "a few thousand" bottles of vinsanto. More winemakers are entering the fold, and the overall prospects for the appellation look good. The wines, tasted February 2011 We began with Vino Nobile di Montepulciano 2008 To begin, an observation: There were many barrel samples, and while this is justified by the time period in which the presentation took place, it is limiting, because a barrel sample has yet to even think about the evolution it will undergo while in bottle. Because of this I consider barrel samples to be unfinished wines, works in progress if you will, and generally prefer not to score them. Deep black cherry ruby with black reflections and cherry rim. The bouquet is moderately intense, and fairly vegetal, with cherry fruit supported by deft greenish accents. Nice richness for a barrel sample. On the palate it's pleasant, with lively sour cherry fruit supported by tannins that are fairly intense and have a greenish burr, and flow into a long warm tart finish. It will be quite pleasant and drink very well with grilled meats or light roasts, and will also age well for 5-8 years. Fairly traditional in feel, with lively acidity and brash tannins. Deep pigeon blood ruby with black reflections and cherry rim. The bouquet is fairly intense, and quite ripe, with cherry plum fruit supported by dusky graphite shaving bitterness and a fair amount of spice. Quite opulent, and though not quite Valeria Marini in a glass (Google her images) headed in that direction. The palate reflects the nose, but it's not lax; there's rich plum fruit with prune and slight brown sugar sweetness supported by smooth sweet tannins that have a slight cedary overlay, and by moderate prune-mineral acidity that is sufficient to provide direction, and it flows into a fairly long cherry prune finish. It's an opulent wine, and if you like this rich fruit driven style you will enjoy it. Deep pigeon blood ruby with black reflections and cherry rim. The bouquet is fairly rich, with cherry fruit supported by clean mineral-laced spice and by some acidity; it's obviously still developing but on a pleasant track. On the palate it's fairly rich, with lively cherry fruit supported by savory tannins that have slight balsamic accents, and by berry fruit acidity that has a fair amount of warmth, and flows into a clean fairly tart finish. Graceful, in a rather essential fairly direct key; it's a wine that will work very well with hearty pasta dishes, simple grilled or roasted meats, and will also work nicely with fried meats -- rabbit or chicken or lamb chops -- in an elegant setting. Deep black almandine with black reflections and some almandine in the rim. The bouquet is delicate, with cherry plum fruit supported by pleasant spice and by some berry grape jam accents. Accents that are reflected on the palate; it's smooth and though not really sweet does have rich ripe prune fruit with the sweetness of ripe prunes, and is supported by tannins that are rather dusky, with graphite shaving bitterness and a slight blockiness that is youth, and flow into a fairly long prune finish that gradually fades into tannins that are present but neither dry nor splintery. It's still getting its legs about it, in a fairly rich, rather opulent ripe fruit driven key, and if you like the style you will enjoy it. If you prefer livelier, more aggressive red fruit and acidity it won't work as well for you. Because of its richness it will -- if you like the style -- work quite well with drier roasts, including white meats, and because of the softness might be a bet with mildly spiced oriental meats. Deep black almandine with black reflections and cherry rim. The bouquet is dusky, with fairly pungent alcohol and a fair amount of cedar, but not much else. On the palate it's ample in a ripe key with greenish bell pepper-laced berry plum fruit supported by tannins that are splintery now, and cedar laced, and flow into a cedar-laced finish. It needs time to come together, and will be fairly international in style when it is ready. Deep black almandine with black reflections and almandine rim. The bouquet is powerful, with a rush of bell peppers and graphite shavings supported by some spice, but not much in the way of red fruit. On the palate it's ripe, with plum cherry fruit that has some bell pepper overtones and is fairly sweet; the sweetness confers roundness and a certain voluptuousness to it, and though it's not sweet enough to be cloying the sweetness helps define the wine, while there is some mineral acidity to give definition, and the tannins are smooth and fairly light, though they do have some graphite shaving bitterness to them that carries into the finish. It's ample and soft, and if you like the style, which is decidedly unaggressive, it will work well with drier roasts such as pork loin or turkey breast. If you prefer brighter more acidic wines it won't work for you. Deep pigeon blood ruby with black reflections and cherry rim. The bouquet is penetrating, with cedary accents and some quite ripe prune plum fruit, but it's still coming together and lacks definition. On the palate it's ample and fairly rich, with plum fruit supported by cedar laced tannins whose cedary accents, interacting with the fruit, bring sweet oatmeal to mind, something I associate more with other wines than Nobile, while there is some mineral acidity, and the tannins are decidedly cedar laced. It's heavily oaked, and hasn't yet digested the oak; while it may the oak will always color the wine, and you should only consider it if you prefer wines that have a very ripe fruit cast. If you prefer sourer fruit, it won't work for you. Deep black cherry ruby with cherry rim; it's poured ink. The bouquet is powerful, with jammy plum fruit supported by fairly rich spice and some underlying cedar; it's harmonious in an opulent ripe key, and rich for a barrel sample. On the palate it's rich, with powerful jammy prune fruit that gains roundness and richness from sweetness, while the tannins are ample, smooth, and have a clean oaky cast to them, leading into a rich plum finish. It's a (very) curvy starlet in a glass, and if you like the style you will enjoy it, but you have to like the style. If you prefer red fruit and lively acidity it simply won't work for you. Deep black pyrope ruby with black reflections and cherry ruby rim. The bouquet is fairly intense, with berry fruit laced with leafy underbrush and some balsamic accents and some sea salt; though it began dusky, it became brighter as it opened and red berry fruit emerged. On the palate it's ample and smooth, with fairly rich red berry fruit supported by moderately intense berry fruit acidity, and by smooth sweet tannins that flow into a clean sour cherry finish with dry tannic underpinning. It's fairly direct in a middle of the road key, and pleasant though it will profit from another year of bottle age; it will work well with meat-based pasta dishes, simple grilled meats and light stews, and will age nicely 3-5 years. It grew on me. Impenetrable pyrope with black cherry rim. The bouquet is fairly intense, with considerable cedar and some prune plum fruit. On the palate it's further along, with brighter than expected plum cherry fruit supported by fairly rich mineral acidity and by ample tannins that have some hazelnut accents now, and flow into a warm finish with tannins and some hot milk. It's all over the map at present, but should come together in a modern middle of the road key. Impenetrable pyrope with black cherry rim. The bouquet is fairly intense, and fairly bright, with cherry plum fruit supported by greenish vegetal acidity and some brambly notes, while there is also a jammy sweetness that suggests ripe roundness. On the palate it's ample, with rich prune fruit supported by mineral acidity that does a good job of providing direction, and by tannins that are ample, soft, and smooth, and flow into a fairly long plum finish with some cherry notes, which gains definition from a fairly bright savory underpinning. It's pleasant in a decidedly ripe key, and if you like ample fruit driven wines you will enjoy it. If you instead prefer wines that are tighter and more defined, it won't work as well for you. Impenetrable pyrope -- poured ink -- with cherry rim. The bouquet is fairly rich for a barrel sample and quite ripe, with powerful prune fruit supported by cocoa and cedar shavings; it's very ripe and heavily oaked at present. On the palate it's ample and soft, with rich plum fruit that has slight caramel accents, which are due to wood, and is supported by a combination of mineral acidity that provides nice direction, and smooth sweet tannins that flow into a fairly tart mineral plum acidity finish. It's a big wine, but does have enough acidity to provide good direction, and as such brings to mind a fat person who dances well -- unlike me. Almost impenetrable pyrope with black reflections. The bouquet is fairly rich, and decidedly vegetal, with greenish berry fruit supported by bell pepper and graphite shavings that confer a degree of bitterness, and by hints of scalded milk and sea salt, while there is also some prune-plum acidity. On the palate it's not as opulent as I expected; there's fairly graceful cherry plum fruit supported by deft mineral plum acidity, and by smooth sweet tannins that are slightly mineral, and flow into a clean bright berry fruit plum finish. It's quite promising in a middle of the road key, and will drink well with grilled meats or light stews, and will also stand up to spicier fare such as bbq, I think. I would give it a year to pull together, and expect it to age well for 5-8 years. Impenetrable pyrope with black cherry rim. The bouquet is dusky, with some prune fruit and some cedar, but it's still under wraps for the most part. On the palate it's ample, with fairly rich prune cherry fruit supported by tannins that are cedar laced, and by moderate acidity, which flow into a tannic finish with underlying bitterness. I'd have liked a bit more acidity than I found, because it's not directionless, but not as purposeful as I might have wanted either. Impenetrable pyrope ink with black cherry rim. The bouquet is muted, with some cedar and some ripe fruit, but not much of either. It is under wraps. On the palate it's ample, with prune fruit supported by tannins that are broad and though they start out smooth become quite blocky and cover all in the finish. It's a classic barrel sample, with all the limitations of its kind, and not ready to be judged. Lively almandine ruby with black reflections and white rim; it's a little paler than some. The bouquet is fresh and young, with lively cherry raspberry fruit supported by jammy accents and some greenish brambles with underlying acidity. On the palate it's fresh, with bright sour cherry fruit that has slight jammy sweetness to it, and is supported by sour berry fruit acidity and by tannins that are warm and smooth, and flow into a clean sour cherry fruit finish. It's pleasant, in a cheeky fruit driven key, and will work quite well with simple pasta dishes, grilled meats, or light stews -- Chicken Pot Pie comes to mind -- and will also work well with fried meats and vegetables. A fellow taster suggests bbq and he's right. In any case, expect it to go quickly. Deep black cherry ruby with black reflections and cherry rim. The bouquet is rich, and jammy, with cherry blackberry jam supported by some sweet vegetal accents and by spice; it's riep but not overripe, and decidedly jammy, what a friend of French extraction calls confetture. On the palate it's medium bodied, with fairly rich cherry black berry fruit supported by moderate acidity and by tannins that are drier than I expected, flowing into a dry tannic finish. The fruit starts out well but draws up short, and while it will lengthen as the tannins smooth, I had expected more. It will in any case drink well with simple grilled meats or light stews. Deep black almandine with black reflections and cherry rim. The bouquet is out of sorts, with a fair amount of wood supported by shellac and sweetness, while there is also cherry plum fruit. It's like an octopus, stretching in every direction. On the palate it's disjointed, with sour cherry fruit supported by moderate oddly mineral acidity that has hints of balsam. It's way too young to say anything constructive about, because the pieces are still orbiting each other warily. Deep black almandine with black reflections and cherry rim. The bouquet is pleasant in a ripe key, with plum fruit supported by jammy fruit accents and some acidity, while there is also some spice and an underpinning of graphite shavings. On the palate it's ripe, with fairly rich plum fruit supported by lively sour plum acidity and by tannins that are still too young, with an oaky component that hasn't yet melded with the grape component. It's promising, but very much a barrel sample, and won't be ready to be drunk for another year at least. Something to wait for in a ripe but not overripe key, and with nice acidity that provides direction. Deep pyrope with black reflections and cherry rim. The bouquet is muted, though there is a fair amount of bitter cocoa that drifts up -- not much else. On the palate it's ample and soft, with moderately intense prune plum fruit supported by tannins that are rather blocky, and by mineral acidity that is enough to keep it from settling, though the tannins interrupt it as it tries to direct, and flow into a very tannic finish. The tannins will smooth with time, and there is some mineral -- not fruit -- acidity but I don't think I can say much more now. Impenetrable pyrope with black reflections and cherry rim. The bouquet is fairly intense, with jammy prune fruit supported by bell pepper and vegetal accents, and by some wood smoke spice as well. Rich in a ripe key, and nice for a barrel sample. On the palate it's rich, with cherry prune fruit that gains direction from warm sour cherry acidity that has slight greenish accents, and is supported by ample smooth sweet tannins that flow into a fairly long warm finish. It's big, and quite ripe, but does have a pleasant direction to it, and if you like the style will work well with hearty stews, including spicier fare such as goulash, or with red meats that aren't really rare. A steak cooked medium, for example. Deep black almandine with black reflections and almandine rim. The bouquet is muted, with some alcohol and hints of hazelnut shells mingled with, as it opens, some spice and acidity, and prune fruit underlying it all. On the palate it's ample, with moderately intense prune plum fruit that lacks acidity and as a result direction, while the tannins are ample and smooth. I'd have liked more acidity, because it wavers, and while the tannins will smooth in with time the acidity won't emerge if it's not there now. Deep pigeon blood ruby with black reflections and black cherry rim. The bouquet is fairly rich for a barrel sample, with cherry prune fruit supported by some greenish accents, and by some spice. It suggests the wine is decidedly rich, and rather opulent in key. On the palate it's ample and rich, with powerful prune fruit supported by some greenish acidity and by tannins that are seriously blocky, coating the tongue and flowing into a warm prune finish. It's promising in an opulent, very ripe key, and if you like the style you will enjoy it. If you prefer scrappier wines with more acidity it won't work as well for you. In short, not for everyone. Black cherry ruby with black reflections and cherry rim. The bouquet is fairly rich, with berry fruit supported by jammy accents and some bell peppers, and by spice as well. Quick to write, but harmonious at the outset, though stronger greenish notes emerge with more swishing. On the palate it's medium bodied, with moderately intense plum fruit supported by mineral acidity and by tannins that are smooth and slightly green; it's pleasant but a bit understated, lacking in oomph on the part of the fruit, which does take the center palate but doesn't manage to fill it completely. Because of this I wouldn't drink it by the glass, though I would consider drinking it with simple grilled meats or light stews that will profit from the tannins; it does in any case need a year to come together, and by March 2012 will be much better than it is now. Deep black almandine with black reflections and almandine rim. The bouquet is muted, though some sealing wax emerges with energetic sniffing. Barrel samples can be out of sorts and this is. On the palate it's round and smooth, with moderately intense berry fruit supported by tannins that are rather blocky and do provide warmth, though they don't go much further than that. It's like a lost toddler, wandering about looking for a familiar face. Deep black cherry ruby with black reflections and cherry rim. The bouquet open with a rush of chocolate, milk chocolate, with hints of Kailua liqueur. Wood that is at present overshadowing the fruit, and this can happen in a barrel sample. On the palate it's moderately intense, with sour cherry fruit supported by spice from wood and slight vegetal notes, and also fairly bright berry fruit acidity that has some spur prune accents, and flows into a fairly bright tannic finish. The palate is promising, and if it casts off the wood in the nose it will be interesting in a middle of the road key. Deep black almandine with black reflections and almandine rim. The bouquet is savory, with a fair amount of wood, and underlying red berry fruit. On the palate it's direct, with warm berry fruit supported by tannins that have a cedary overlay and some sea salt, and by moderate savory acidity. It's a bit flatter than some, and though the tannins will smooth the acidity we have is the acidity we work with. Deep black cherry ruby with black reflections and cherry rim. The bouquet is still up in the air, with plum and forest berry fruit on the one hand, and slightly balsamic acidity and some scalded milk on the other, and some spice too. On the palate it's again disjointed, with sour cherry plum fruit supported by unusual candied sweet notes that bring cola gummy bears to mind, and peppery spice that flows into a peppery finish with candied overtones. It's in mid stride and needs to take at least a few more steps before it will be judgeable. Almost impenetrable pyrope with cherry ruby rim. The bouquet is still coming together, with cedar laced with musty dried orange peel and some spice, but not as much fruit as it might have; it's also not as clean as I would have liked. On the palate it's dusky, with fairly rich cherry ruby fruit supported by some acidity, more mineral than fruit but it is there, and by tannins that have a dusky greenish burr and flow into a fairly long tannic finish. It's still very young, and I would give it a year for the palate to come together and the nose to develop. I liked the palate better than the nose. Deep black pyrope with black reflections and cherry rim. The bouquet is fairly rich for a barrel sample, with prune and plum fruit supported by some cedar and jammy accents. On the palate it's full, with rich smooth plum fruit supported by moderate mineral acidity, enough to provide some direction, and by tannins that are ample and smooth, and have a cedary overlay to them. It's ample, and will smooth nicely, and if you like big soft ripe fruit driven wines you will enjoy it. Deep black cherry ruby with black reflections and cherry rim. The bouquet is fairly intense, with rather languid sweet plum fruit supported by graphite shaving bitterness and some cedar. On the palate it's brighter than I expected, with plum fruit supported by sour plum acidity that manages to make an appearance before it's cut off by angry bitter tannins that carry into a bitter tannic finish. It's quite far behind, and the tannins will need at least a year to smooth. An angry young man. Deep black almandine with black reflections and almandine rim. The bouquet is murky, with wet earth and some dried orange peel supported by balsamic warmth and hints of stable straw; it gives an impression of being uncertain about where it's going. On the palate it's fairly rich, with sour cherry fruit supported by tannins that are warm and fairly balsamic, and do have an angry burr, while the acidity is warm and a bit greenish, and there are also savory notes. It's a bit tired, though this may be the impression it gives in youth; it needs at least a year to come togethe3r and be presentable, and two wouldn't hurt. These are vineyard selections. Some are quite good, while others, alas, give the impression of trying too hard to be Wines with a capital W.
Deep pigeon blood ruby with black reflections, it's close to poured ink. The bouquet is powerful, with a great rush of greenish cedar that covers most everything. The palate is just as eye-opaning, with rip berry fruit supported by graphite shaving bitterness and tannins that are cedar laced with hints of sandalwood and spice. A great lot of oak, and though the fruit may emerge to lead in the future I'm not sure that it will. Poured pyrope ink with black reflections and almandine in the rim. The bouquet is fairly intense with prune fruit supported by chalk and some spice; it's still coming together. On the palate it's ample, with prune fruit supported by moderate acidity and by tannins that have a blocky burr and flow into a dry tannic finish with underlying bitterness. It's badly disjointed and needs at least a year to start thinking about what it wants to be, though I would guess heavily oaked in a ripe international key. It's a bit soon to say much else. Deep pyrope with black reflections. The bouquet is quite ripe, and spicy, with prune fruit supported by peppery nutmeg spice and some jammy accents; as it opens warm hints of leather and leaf tobacco also emerge. On the palate it's fairly sweet, with rich smooth plum fruit that gains definition from brighter than expected berry fruit acidity, a mix of currants and raspberry, and by tannins that are smooth with bitter graphite underpinning, and flow into a fairly long warm tannic finish that again has dusky graphite bitterness to it. It's big, and ripe, but does have acidity to give direction; this said, it seems to be trying to keep a foot on either side of the ripeness/overripeness fence, and I'm not sure how well it's succeeding. It's a wine that will work more with rich slow-cooked braised meats (including spicier things such as goulash or a peposo than by the glass. Impenetrable pyrope ink with cherry ruby rim. The bouquet is still out to sea, with a rush of bitter grilled pepper with some underlying berry fruit jam and some graphite shavings. To be quite honest, if someone were to put a glass under my nose and say, "Guess," I would say, "Cabernet. Perhaps not pure, but it's there." On the palate it's ample and quite ripe, with plum cherry fruit supported by plum acidity and by smooth sweet tannins that flow into a warm plum laced finish. It's actually fairly ready on the palate, in a very ripe fruit driven key, but also has enough acidity to keep things from drifting, and that's a good thing. If you like the style you will enjoy it. Deep black almandine with black reflections and cherry rim. The bouquet is fairly intense, and not clean; there's a mustiness mingled with dried orange peel that I associate with wood that's past its prime. On the palate it's ample, with moderately intense berry fruit that gains direction from fairly bright berry fruit acidity, and is supported by smooth sweet tannins that flow into a sour cherry finish with some savory underpinning. A pity about the nose, and I'd have liked tighter definition to the palate too. Deep pigeon blood ruby with almandine in the rim. The bouquet is fairly intense, with red berry fruit supported by hardwood ash and some peppery spice with a fair amount of alcohol and some underbrush as well. On the palate it's ample, with fairly rich cherry plum fruit that's supported by moderately intense mineral acidity, and by tannins that are fairly smooth, and flow into a clean sour cherry finish with slight balsamic bitterness. I'd have liked a little more brightness to the acidity, which is more mineral than fruit driven. It's fairly traditional, in feel, and will work well with grilled or roasted meats. Poured pyrope ink with cherry rim. The bouquet is fairly intense and still coming together; it opens with a rush of greenish spice and something that brings to mind cleaning supplies -- something chemical. Not much fruit. On the palate it's quite ripe, with prune cherry fruit supported by dusky acidity and by tannins that have graphite bitterness to them, and flow into a fairly long rather bitter finish with underlying peppery spice. It needs time, but I found myself wishing for more depth and definition. Impenetrable pyrope with black reflections and cherry rim. The bouquet is shut tight, though swishing brings up some spice and peppery accents. Not much fruit. The palate is brighter than I expected, with fairly lively cherry fruit supported by clean mineral acidity and by tannins that have a dusky burr and flow into a clean tannic finish with fairly bright sour cherry fruit. I would give the nose a year to catch up with the body, and then drink it with a steak or a roast; in terms of style it's middle of the road towards the traditional side of the spectrum. Inky pyrope with black reflections and cherry rim. The bouquet is fairly intense, with quite a bit of cedar mingled with sea salt and spice. Not much fruit. On the palate it's fairly rich, with moderately intense sour cherry fruit supported by berry fruit acidity and by tannins that have a cedary overlay and flow into a clean tannic finish. It's a bit lacking in verve, and I'd have liked greater richness and depth to the nose, which doesn't have as much fruit as I would have wanted. Impenetrable pyrope with almandine brick rim. The bouquet is fairly intense, with vegetal-laced plum cherry fruit supported by some greenish accents. On the palate it's full and quite ripe, with prune fruit supported by tannins that have a smooth cedary overlay and flow into a fairly long finish with lasting bitterness. It's going to be rather opulent, in a rich fruit driven very ripe key. Deep black cherry ruby with black reflections and cherry rim. The bouquet is fairly intense, with considerable bitter graphite shavings and some spice supported by slightly chalky accents; there are hints of berry fruit, but not much more than that. On the palate it's brighter than I expected, with cherry and plum fruit supported by fairly lively mineral sour cherry acidity, and by smooth sweet tannins that flow into a fairly bright sour fruit finish with tannic underpinning. It's bit, and soft, but not as overripe as I had feared from the nose, and will work well with slowly cooked flavorful meats, or even a steak, if it's not absolutely rare. Something to think about if you like the style. Deep black almandine with black reflections and almandine rim. The bouquet is fairly intense, and rather balsamic, with warm balsamic acidity laced with sea salt and stable straw, and fairly bright acidity as well. On the palate it's fairly bright, with sour cherry fruit supported by balsamic acidity and by tannins that are glancing now, but that will smooth with time, and flow into a fairly long tannic finish. It's very young in a fairly traditional key, and will drink well with succulent roasts or steaks in the short term, and also age well for 5-8 years or more. If you like fruit driven ripe wines it won't work for you, but if you like a rather rustic tart style you will enjoy it. Deep black almandine with black reflections and almandine rim. The bouquet is fairly intense, with alcohol and some cedar supporting some berry fruit, though what really comes out now is the alcohol. On the other hand, it's a barrel sample. On the palate it's fairly rich, with sweet cherry fruit supported by moderate acidity and tannins that are greenish and lay a veneer over the tongue. It's quite behind, and needs time before it will be ready for people to say much about it. Impenetrable pyrope ruby with cherry rim. The bouquet is moderately intense, with plum cherry fruit supported by jammy accents and some cedar. Fairly rich in a ripe rather opulent key. On the palate it's rich, with powerful prune cherry fruit supported by fairly bright sour cherry acidity, and by tannins that have a warm splintery burr of the sort one expects from a barrel sample. It's promising, in an opulent and ripe but not overripe key; if you like the style you will enjoy it. Deep black almandine with black reflections and almandine rim. The bouquet is muted, though swishing brings up prune fruit supported by some gum Arabic (rubber cement, even) and spice. It gives an impression of considerable opulent ripeness. On the palate it's quite ripe, with powerful sweet plum fruit supported by peppery spice and moderate acidity, while the tannins have a youthful peppery burr to them, and flow into a rather quick -- too quick -- peppery finish. It needs another year to come together, but will be quite ripe in a rather opulent key when it is ready. If the finish lengthens it will be nice in the style. Deep black almandine with black reflections and cherry rim. The bouquet is intense, with petroleum and wood smoke mingled with ripe prune fruit and fairly intense greenish vegetal accents. On the palate it's brighter than I expected, with fairly rich cherry fruit supported by moderate acidity, and by tannins that are rather blocky, and flow into a fairly bright tannic finish. I'd have liked more richness and ripeness to the fruit, which is a little thinner than I hoped for. Lively almandine with brilliant reflections and almandine rim; it's a bit paler than some -- no ink. The bouquet is fairly rich though quite young, with sour cherry fruit supported by greenish accents and spice. Promising but needs time. On the palate it's rich, with lively sour cherry fruit supported by bright berry fruit acidity and by smooth sweet tannins that flow into a fairly long slightly greenish finish with lasting sour cherry warmth. Pleasant in a fairly traditional key, and though it will profit from another year at least in bottle, one could drink it now with a steak or hearty roast, along the lines of leg of lamb. Expect it to age well for up to 10 years. Impenetrable pyrope with black reflections and pyrope rim. The bouquet is muted, though swishing brings up some cedar and slight spice. Not much fruit. On the palate it's ample, with quite ripe prune cherry fruit supported by some mineral acidity, though not so much as I would have liked, and by tannins that are quite bitter, with a cedar overlay, and flow into a tongue-bending tannic finish. It needs at least a year for the tannins to sort themselves out -- 2 would be better -- but I wouldn't keep it for much longer, because there isn't much acidity, and the fruit is already quite soft. Deep black almandine -- almost poured ink -- with black reflections and cherry rim. The bouquet is intense, and a bit more rustic than I expected from the color; there's balsamic acidity mingled with stable straw and greenish brambly accents but not much fruit. On the palate it's full, with ample sour fruit that's fairly generic -- what really comes through is the sourness -- supported by minerality and warmth, while the tannins are decidedly greenish and flow into a long rather green warm tannic finish. It's a bit extreme, and you'll lonely like it if you like this powerful rather rustic style. If you prefer riper wines, or wines with softer riper tannins, it won't work for you. If you do like it, it will work well with succulent red meats, grilled, roasted, or stewed. Deep black almandine with black reflections and almandine rim. The bouquet is fairly rich, with sour cherry fruit supported by some greenish accents and some vegetal notes as well; there's also some sour berry fruit jam. On the palate it's fairly bright, with sour cherry fruit supported by peppery spice and fairly rich acidity that flow into a clean rather sour finish. It's a bit blocky, and though it will drink quite well with hearty stews or roasts, I found myself wishing for better definition to the fruit, which is a little lax, leaving more space to the peppery tannins than it might have. Deep black almandine with black reflections and almandine rim. The bouquet is a bit of a surprise, with quite ripe cherry plum fruit supported by jammy accents and some vegetal notes, and fairly bright vegetal acidity. It gives an impression of lush opulence. On the palate it's ample and fairly rich, with lively cherry plum fruit supported by bright mineral acidity and by tannins that are angry in their youth and lay a peppery burr over the tongue, flowing into a fairly long peppery finish. It needs another year to come together, a which point it will be fairly opulent in a modern fruit driven key, but not soft, because the pepperiness of the tannins will fold in some but never disappear completely. Impenetrable pyrope with black reflections and cherry rim. The bouquet is intense, with savory plum fruit supported by jammy notes and spice. On the palate it's fairly rich, and quite ripe, with prune fruit supported by fairly lively cherry-citric acidity and by tannins that are ample and smooth. Pleasant in an ample ripe key, and work well with flavorful stews, including spicier stews such as goulash. Something to think about of you like the style. If you instead prefer wines that have tighter, brighter fruit it won't work as well for you. Impenetrable pyrope with black reflections and cherry rim. The bouquet is fairly intense, and also fairly pungent, with greenish vegetal accents and some spice, but not much in the way of fruit. On the palate it's ample, with moderately rich prune fruit supported by moderate mineral acidity, and by tannins that are big and blocky, and lay a veneer over the tongue and flow into a long tannic finish. It needs at least a year and perhaps two for the tannins to fold in. Problem is, there isn't that much acidity, and because of this I wouldn't age it for much longer than that. It wants to be bigger than it probably should be. Impenetrable pyrope ink with almandine cherry rim. The bouquet is fairly rich, and fairly sweet, with quite a bit of cedar and some spice, and as it opens some prune fruit. On the palate it's ample and quite ripe, with fairly intense plum cherry fruit supported by fairly bright mineral prune acidity, and by tannins that are ample and smooth, and flow into a clean smooth slightly bitter prune finish. It's fairly rich, and if you like ample smooth ripe fruit driven wines you will enjoy it; it will work well with rich stews and hearty, not too rare red meats. If you prefer more aggressive wines it won't work as well for you. Deep black almandine with black reflections. The bouquet is muted, though swishing brings up some berry fruit and some warmth. On the palate it's rich, with ripe cherry plum fruit supported by deft mineral acidity and by smooth sweet tannins that flow into a fairly long plum finish that gains direction from mineral acidity and some savory accents. Pleasant in a rich, ripe fruit driven key, and if you like the style it will work well with hearty slow-cooked stews, including dishes such as goulash, but you do have to like fairly opulent wines. If you prefer tighter, more acidic wines it won't work as well for you. Deep black almandine with black reflections and cherry rim. The bouquet is fairly intense, with same balsamic accents mingled with slight stable straw and dusky notes that bring dappled shad to mind, and also some greenish spice, with some alcohol as well. On the palate it's fairly rich, with bright cherry fruit supported by moderately intense dusky berry fruit acidity, and by tannins that are fairly smooth, though they do display a slight burr, and flow into a clean rather warm tannic finish with our cherry and mineral accents that provide direction. It's pleasant, though a little laxer than I might have liked, or at least this is the impression it gives, and it's due at least in part to the tannins, which are still splintery and therefore don't present a unified front. They will smooth with time, while the tannic aggressiveness will make it a good bet with succulent grilled or roasted meats, and also with hearty stews. If you like the fairly traditional style you will enjoy it, and I would expect it to age well for a decade at least. 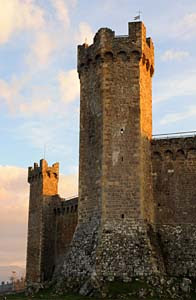 Montalcino's Moscadello, is, as its name suggests, a Moscato, and like most Moscato, is sweet. When I first tasted it, many years ago, two wineries in Montalcino made sparkling Moscadello, which somewhat resembles Moscato D'Asti, though it's a little more charged: Banfi and Il Poggione. Everyone else made Moscadello Passito, which is more concentrated, sweeter, and more alcoholic. Since then Banfi has joined the Passito camp, leaving Il Poggione alone in making sparkling Moscadello. A word about the vintages. Since Il Poggione is sparkling, with the emphasis being on freshness of nose and palate, it's a vintage wine -- in this case the 2010. However, passiti can be aged prior to release, and since the regulations governing production do not say for how long, it's up to the winemaker. Here the vintages range from 2009 to 2003, and one wine is non-vintage, in other words likely a blend of more than one vintage. The wines are in the order they were poured. Elegant gold with lively golden reflections and brassy highlights. The bouquet is powerful, with honey and honeysuckle supported by ripe candied apricots (no greenness) and sunny sweetness. A solar wine. On the palate it's full, rich, and sweet, with elegant sweet apricot and plum fruit supported by clover honey sweetness and by a far amount of warmth that gives nice depth and definition, and it flow into a long sweet apricot finish with dome dusky clover honey for definition. Quite pleasant in a fairly direct key, and if you like sweet wines you will enjoy it. Golden amber with brilliant golden reflections. The bouquet is intense, with and quite a bit of alcohol, mingled with the bitterness of hazelnut shells. It's more penetrating, and not entirely sweet. On the palate it's rich and sweet, with powerful dried fruit, dates and some figs, supported by dried apricot warmth, and by, as it flows into the finish, dusky walnut skin bitterness and some savory notes that give definition. It's more complex than some, and much richer on the palate than I expected form the nose; it will work very well with cheeses, including piquant herbed cheeses such as gorgonzola. Brassy yellow with brilliant brassy reflections and brassy rim. The bouquet is muted at first swish, while subsequent swishing brings up an unusual mix of honeydew melon and floral pungency with spun sugar and some greenish vegetal accents that bring squash rind to mind. Nice depth and quite sweet. On the palate it's full, rich, and sweet, with dried apricot fruit supported by butteriness and some savory hazelnut accents that add depth, while it resolves into a warm sweet dried apricot finish. Pleasant, in a bit more direct key than some, and will work well as a dessert wine, though I would be more tempted to serve it with a selection of mild to piquant herbed cheeses. Pale brassy yellow with brilliant brassy pastel yellow reflections. The bouquet is muted, though swishing brings up some greenish vegetal accents and moderate sweetness. It's more vegetal and less sweet than the others, though as it opens some greenish honeydew melon does emerge. On the palate it's rich and sweet, with ample honeydew melon supported by vegetal accents and sweetness, while there is also some fairly green acidity -- melon rind? -- that provides direction, and it flows into a clean fairly sweet finish with some dusky tannic underpinning and slight peppery spice. It goes in a slightly different direction than the others, working more with the other vegetal elements than with sweetness and fruit, and will work well with cheeses. Tawny brassy gold with brassy reflections. the bouquet is fairly intense, with fairly intense sweetnes smingled with floral accents and some herbs, in particular there herbal floral aromas one finds in some detergents. They work better here and are much more inviting. On the palate it's lighter than many, and sweet, with apricot fruit that gains direction from some dusky almost walnut skin bitterness, and flows into a fairly long warm honeydew melon finish. It's pleasant, but I ofund it a little thin, and it seems to strive a touch. Tawny amber with brilliant apricot reflections. The bouquet is powerful and quite sweet, with loquat and candied apricot mingling with honeydew melon and a great deal of sweetness that almost brings to mind a vat of nougat being stirred. Very sweet. On the palate it's full and rich, with powerful dried apricot supported by considerable honey-laced sweetness, while there are some dusky tannins that provide boundaries, and there's fairly rich acidity to provide direction, and it flows into a long warm sweet finish with apricots that gradually settle into warmth. Beautiful and if you like sweet passito type wines you will enjoy this tremendously, because it has depth as well as sweetness. Pale brassy white with fine perlage that foams up and settles. The bouquet is rich, with honeysuckle and honey mingled with slight green apple and some savory notes; freshness in a glass and pleasant to sniff. On the palate it's rich and creamy, with sweet honeydew melon supported by honeydew melon acidity and a creamy fullness, while there is a slight pepperiness form the sparkle, which leads into a long sweet finish with some banana notes. Very pleasant in a charged rich key, and the ideal wine to drink well chilled on a hot day, either on a patio or at poolside. You do have to like rich sweet wines, because it takes the concept to an extreme. Pale brassy white with fine perlage that foams up and settles, though some fine bubbles to continue to rise. The bouquet is powerful, and sweet with greenish accents that bring honeydew melon rind or very green apricot to mind mingled with some floral accents. It's more complex than the Caprili, and not as sweet. On the palate it's rich, with full honeydew melon that gains depth from greenish accents, and also from slight hints of granny smith apple, and creamy fullness from the sparkle, which is a little more pronounced than the Caprili's, and it flows into a clean bright finish with candied orange peel and honeydew melon acidity that continues at length. It's creamier than most Moscato d'Asti, and quite rich, and if you like sweet sparkling wines it will be very nice at poolside or on the patio at dusk un summer, and will also work well with piquant creamy cheeses of the greener moldy varieties. If you like this kind of wine you will enjoy it very much. Lively brassy yellow with golden reflections. The bouquet is rich, with lsightly greenish honeydew melon supported by a fair amount of alcohol and honeysuckle, and also by considerable sweetness. It's quiet rich, though there are vegetal notes as wlel, and it doesn't revolve exclusively arounf fruit and sweetness. On the palate it's full and rich, with powerful honeydew melon supported by considerable sweet ness and dried apricot acidity and warmth that flow into a sweet slightly greenish dried apricot finish. Quite pleasant with considerable depth,a nd will drink very well with aged or piquant cheeses, or be a pleasant wine to sip with like minded friends far from the table. Lively tawny gold with tawny dried apricot reflections and slight greenish highlights. The bouquet is intense, and decidedly herbal -- green aromatic herbs -- and fairly bright mineral accents; it's going in a slightly different direction than the others, though there is also some sweetness to it. On the palate it's it's ample and bright with savory herbal accents mingled with apricot sweetness and some slightly bitter vegetal notes, and also some hazelnut skins, while there is also considerable sweetness and warmth, and a fair amount of dried apricot acidity that carries it forward and provides direction. It's interesting, and continues the different path it established on the nose; it's a bit more particular and a bit less approachable than the others, but if you like sweet wines and enjoy conversing with them you will find it has a fair amount to say. If you simply want a sweet wine and little thought it won't work as well for you. This year, the winemakers of Montalcino presented the 2006 vintage, and while it was a distinct step up from the 2005, it was by no means easy -- as is the case in other parts of Italy, the 2006 vintage of Brunello di Montalcino turns out to be not particularly user friendly, coming across as rather angry, closed on the bouquet and with tannins that have a hardness to them that promises well for the future but make the wines less ready now than those of a more welcoming vintage would be. Taken as a group I found the wines to be unready, but in many cases showing considerable potential for the future. In other words, they're wines to buy now and set aside for 5-10 (or more) years, and then open at a happy occasion. I must also say that my evaluation of the vintage is not universal: A fellow taster I talked with gave it three out of five, because of high alcohol in many of the wines, and many wines with dry tannic finishes. She also sees less aging potential than I do. Having said this, I began started by tasting through the vineyard selections, finding many things worth thinking about and then worked through the Brunello Base from the same estates, and finished by picking wines almost at random -- more than 140 wineries were presenting their Brunello, and the time allotted, two days, made it impossible to taste them all. Before we get to the wines, a word about the venue: In the past Benveuto Brunello took place in a tent in the Fortezza, which made things difficult if it was either cold or windy, both frequent occurrences in February. This year the Consorzio moved the tasting to a courtyard that was much better lit, and also more comfortable. The only drawback is that it was too small to also host winemaker's stands, which were therefore in another building, making it much more difficult to gofrom winemaker to tasting table and back. I confess I simply The tasted. As I said, I began with Selezioni and then worked through the Brunello base from the same wineries, and then tasted at random. The wineries presenting Selezioni are in the order they were listed on the tasting sheet prepared by the Consorzio. Lively black almandine with black reflections and almandine rim. The bouquet is fairly rich, with slightly balsamic sour cherry fruit supported by a fair amount of alcohol and some mentholated accents. Quite young, and keeps its distance, but promises nicely. On the palate it's quite pleasant in a traditional key, with warm bright sour cherry fruit supported by acidity that has some vegetal accents, and by tannins that have a warm slightly cedar-laced greenish burr and flow into a long warm peppery finish with some fruit underpinning and sour berry fruit acidity that carries at length. It's very young, and to be frank not really ready to drink yet, though it will be very nice in 3-5 years, and age well for 10-15 years thereafter. If you enjoy the fairly traditional style you will enjoy it very much. Deep black almandine with black reflections and almandine rim. The bouquet is fairly rich, in a rather austere key, with brambly sour red berry and cherry fruit supported spice, greenish acidity, and a fair amount of alcohol. On the palate it's ample, and warm, with fairly drawn out sour cherry fruit supported by sour berry fruit acidity and by tannins that are ample and fairly smooth, and flow into a long tannic finish. It's an austere wine, in a traditional key, and very young; one could drink it with a steak now, but it will begin to give its best in 8-10 years. Deep black almandine with back reflections and cherry rim. The bouquet is fairly rich, with mentholated berry fruit supported by greenish spice and a fair amount of warmth, with some brambly wet tree bark as well. On the palate it's bright, in a middle of the road key, with rich sour cherry fruit supported by bright sour cherry acidity and by tannins that are smooth, with slight bitter accents, and flow into a fairly long bitter cherry finish with some tart underlying acidity and a bitter tannic underpinning. It's pleasant, in a middle of the road key, but needs another couple of years to come together and begin to absorb the oak; it will be worth the wait and if you like this style you will enjoy it. Deep black cherry ruby with black reflections and cherry rim. The bouquet is muted, though swishing brings up some berry fruit and some acidity; as it opens the fruit increases some and some spicy accents also emerge. On the palate it's full, with rich cherry fruit supported by deft berry fruit acidity and by tannins that are smooth, though quite young, and flow into a clean sour cherry fruit finish. It's graceful, in a powerful middle of the road key, and also quite approachable; one could drink it now but it will reward those with the patience to give it 3-5 years, and age well for 12 or more. Almandine with black reflections and white rim. The bouquet is fairly rich, with powerful balsamic sour cherry fruit supported by some greenish vegetal accents and by slight jammy sweet notes that are also alcohol. On the palate it's bright, with lively cherry plum fruit -- it's a little riper than I expected but displays verve -- supported by bright plum berry fruit acidity and by tannins that are rather green and flow into a greenish tannic finish. It's standoffish, though there is good potential; it needs a year or perhaps two for the tannins to begin to smooth, and it will age well for 10-15 years. Lively black almandine with black reflections and cherry rim. The bouquet is fairly rich, with ripe cherry fruit supported by some leather and nutmeg spice with underlying alcohol. It's a bit more modern in key. On the palate it's ample and fairly rich, with cherry fruit supported by tannins that have a cedar-laced burr, and by moderately bright cherry-mineral acidity that does surrender to bitterness in the finish. It's ample, and will drink well with roasts or stews; by comparison with some it's less aggressive, though there is good fruit, and if you prefer a less aggressive style you will enjoy it. Almandine with black reflections and almandine rim. The bouquet is fairly intense, with mentholated alcohol supported by balsam-laced red berry fruit and some Moroccan leather with some spice as well. On the palate it's full, with fairly rich cherry fruit supported by mineral acidity and by tannins that are smooth and glancing, and flow into a clean slightly riper cherry plum finish with mineral tannic underpinning. Graceful though it needs time, a couple of years to begin with, and if you have more patience it will wait as long as you are willing to. Deep black almandine with black reflections and almandine rim. The bouquet is dusky, with berry fruit supported by bitter cedar and some graphite shavings; there isn't much acidity to it, and it gives an impression of roundness. On the palate it's full, with fairly rich cherry fruit that's sourer than I expected, supported by sour berry fruit acidity and by tannins that are ample and fairly rich, with a slight peppery burr that flows into a fairly long sour finish with lasting bitterness. It's elegant, in a rather brooding key, and at the start of a long climb; it will age well for many years, and will be worth giving time to.. It grew on me. Lively almandine with black reflections and almandine rim. The bouquet is fairly rich, with slightly jammy berry fruit supported by a fair amount of alcohol, slight cedar, and some greenish accents with u dried orange peel. On the palate it's full, with bright sour cherry fruit supported by lively sour cherry acidity and by tannins that are warm and somewhat splintery, and flow into a warm sour cherry finish with fairly bright tannic underpinning. Quite pleasant, but it needs time, and will begin to give its best in 3-5 years, and will age for a decade beyond then. Deep black cherry ruby with black reflections and cherry rim. The bouquet is more rustic than some, with balsamic notes and wet horse mingled with fairly sour acidity; it has an old-style feel to it. On the palate it's rich, with powerful sour cherry fruit supported by brisk sour cherry acidity and by smooth sweet tannins that flow into a long sour cherry finish. Graceful in a traditional key, and if you like the style you will like it considerably. It will drink well now with a steak, but will richly reward those who have the patience to give it time, a decade or more. Black almandine with black reflections and almandine rim. The bouquet is surprisingly young, with deft greenish vegetal accents mingled with red berry fruit, some candied -- almost brandied -- fruit, also warm sea salt and spice with slight balsamic accents. Quite a bit going on. On the palate it's ample, with fairly rich cherry plum fruit supported by dusky bitter tomes and moderately intense acidity -- it's not as bright as I had expected -- and by rather languid prune sweetness that has slight graphite shaving undertones, while the tannins are smooth and rather dry. It's in mid stride, and needs at least a year to come together, at which point it will work well with roasts or stews. I found it middle of the road, but a little less bright than I might have liked. Deep black almandine with almandine reflections and rim. The bouquet is powerful, and frankly old-style, with warm balsamic fruit supported by dried flowers and strawberry acidity, with underlying nutmeg spice and as it opens dried slightly musty orange peel. On the palate it's ample, and rather languid, and quite round, with fairly intense cherry fruit supported by sour berry fruit acidity and by tannins that are very smooth, and flow into a fairly long sour cherry finish. It's quite old style, and some of the aromas on the nose suggest that the wood is a little older than it should be, but it displays a certain grace, and if you like the style you will enjoy it considerably. Deep cherry ruby with black reflections and cherry rim. The bouquet is moderately rich with brambly cherry fruit supported by hints of cedar and some leather. It's still coming together in an understated sort of way. On the palate it's ample and quite smooth, with moderately intense slightly jammy berry fruit supported by delicate slightly mineral brambly acidity that fades into lasting warmth. It's a delicate wine, and somewhat in mid stride; the tannins don't display the aggressiveness that many 2006 wines do, while the wine does give an impression of being in mid stride on the palate too; it is drinkable but will age nicely becoming rather lacy and ethereal with time. It's a somewhat different interpretation of the vintage, and one that will in the long term pay well I think. Deep cherry ruby with cherry rim. The bouquet is delicate, with moderate berry fruit supported by green leather and some spice with quite a bit of sea salt as well. It's a nice reflection of the vintage, which had a long cool spell in mid-summer that did have an effect on the overall ripening cast. On the palate it's delicate, with fairly full ripe cherry fruit supported by warm sour cherry acidity and smooth sweet tannins that do have a slight burr in the finish, and have some cedar overtones that will fold in over the next few years. It's not an explosive wine, but does show pleasant grace and will age nicely, becoming delicately ethereal with time. I would give it 3-5 years to come into its own and expect it to age well for 10 years further at least. Deep black almandine with black reflections and almandine rim. The bouquet is muted, with some musty dried orange peel mingled with some greenish accents; there's not much fruit though there is a fair amount of alcohol. On the palate it's moderately intense, with generic red berry fruit supported by mineral acidity and by tannins that are somewhat splintery, and flow into a fairly mineral finish with tannic underpinning. It's considerably understated with respect to the majority of the 2006 wines. Deep black almandine with black reflections and almandine rim. The bouquet is muted, though swishing brings up some alcohol and chalky berry fruit supported by some minerality and slight underlying spice. On the palate it's ample and rather soft, with moderately rich berry fruit supported by some mineral acidity and warmth, and by tannins that are rather blocky and flow into a rather blocky finish. It's a bit awkward, and the tannins are drier and angrier than I might have liked, and overshadow the fruit, which tried to escape but then settles back into the wine. Lively pale almandine with black reflections and almandine rim fading to white. The bouquet is muted, though swishing brings up some alcohol and spice with slight graphite shavings. But not much; the shutters are closed tight. On the palate it's fairly bright, with lively sour cherry fruit that has some bitter overtones and is supported by sour cherry plum acidity with some mineral warmth, and by tannins that are smooth and fairly bitter, flowing into a clean bright slightly greenish tannic finish with a fair amount of berry fruit. It's graceful, or will be when it catches its footing, because at present it's in mid-stride and needs another couple of years at least to figure out what it wants to do when it grows up. Something to think about if you prefer the more traditional style, but give it time. Deep black almandine with black reflections and almandine rim. The bouquet is muted, though swishing brings up berry fruit laced with dried orange peel and some spice, with deft underlying cedar and some graphite shaving bitterness. On the palate it's bright, with fairly rich cherry fruit supported by sour cherry acidity and by tannins that are smooth and sweet, and flow into a fresh sour cherry finish with lasting spicy warmth. Graceful, though at the outset of a long climb, and still a bit too young; if you had to drink it now rare roast beef or (medium) lamb would be obvious choices, though it will richly reward those with the patience to give it time. Expect it to age well for 10-15 years or more. Deep black almandine with black reflections and almandine rim. The bouquet is moderately intense and rather balsamic, with some musty dried orange peel and fairly bright spice supported by bitter accents and some green leather and leaf tobacco vegetal accents. On the palate it's ample and quite smooth, with leathery sour cherry fruit supported by fairly bright mineral citric acidity, and by smooth tannins that have slight cedar-laced underpinning and flow into a rather bitter tannic finish with some mineral accents. The finish draws up a little bit shortly, and this is the youth of the tannins; it needs a year and perhaps two for them to begin to smooth and develop polish. This said, I'd have liked a little more acidity to keep it on its toes, because the work is carried out mostly by the tannins. Deep black almandine with black reflections; it's darker than many. The bouquet is powerful, with cherry fruit supported by spicy cedar and some brambles, which are mingled with mentholated accents and hints of burlap and leaf tobacco. Quite a bit going on in a powerful key. On the palate it's full, with rich sour cherry fruit supported by dusky sour berry fruit acidity, and by tannins that have a dry cedar-laced burr, and flow into a fairly long dry tannic finish. It's quite rich, with fruit that's impressive, but has also absorbed considerable wood and is still working though it; by comparison with some of the others it's further behind and needs more time. I would expect it to begin to be drinkable in 2-3 years, and for it to age well for a 10-15. If you like the more modern style you will enjoy it, but do give it the time it needs. Deep black almandine with black reflections and almandine rim. The bouquet is fairly rich, in a greenish vegetal key with sour cherry fruit mingled with spice and a fair amount of alcohol; it's quite young and needs another year at least to develop. On the palate it's full and rather soft, with bright slightly sour cherry plum fruit supported by moderately intense mineral acidity, and by tannins that are very young and still a bit blocky, flowing into a clean bright sour berry fruit finish with bitter tannic underpinning. It's woefully young and really not ready to drink; it needs another couple of years to learn how to stand and then will age well for at least a decade longer. In terms of style it's middle of the road, in a fairly ripe key. Deep black almandine with black reflections and almandine rim. The bouquet is riper than some, with cherry plum fruit supported by spice and some nutmeg, and by some alcohol as well. Nice balance in a quite ripe softer key. On the palate it's ample, with rich cherry plum fruit supported by mineral acidity and by tannins that are ample and smooth, with some dusky spicy undertones that bring dried orange peel to mind, and flow into a fairly ripe plum laced finish. It's considerably riper and softer than the majority of the wines, but displays pleasing grace in this style, and if you like the style you will enjoy it; given its acidity it does have nice aging potential, though it won't be really long lived. I would drink it with slow cooked red meats, including spicier stews, or roasts that aren't too rare. Deep black almandine with black reflections and cherry rim. The bouquet is fairly rich, with cherry plum fruit supported by bright slightly greenish alcohol and fairly intense bitterness with as it open greenish brambly accents. On the palate it's fairly rich, with bright sour cherry and plum fruit supported by fairly brisk berry fruit acidity and by tannins that have a warm burr and flow into a fairly long clean fresh berry fruit finish with some plum accents, and a deft tannic underpinning. It's a little riper than some, and shows nice depth though it remains very young, and needs another couple of years to begin to show well; as it stands it's in swaddling clothes. Something to think about if you prefer a richer, riper style, though there's ample muscle behind the riper fruit and not a hint of flab. Deep black almandine with black reflections and almandine rim. The bouquet is dusky, with fairly rich cherry fruit supported by sweetish almost jammy notes and some dried orange peel with slight musty accents; more swishing brings up slight cedar as well. On the palate it's ample, with fairly bright sour cherry fruit supported by considerable sea salt and tannins that have a warm soft burr, and flow into a clean slightly bitter sour cherry finish with lasting warmth. It's fairly graceful, in a traditional key, but also displays a certain laxity that is in part youth; the tannins are still a bit splintery, and need more time to smooth, though I think they will always have a dusky character. If you like the style you will like it; if instead you like wines with tighter tannic structures you will like it less. Deep black cherry ruby with black reflections and white rim. The bouquet is muted, though swishing brings up some brambly greenish fruit; it's very young and clearly still developing. On the palate it's full, with moderately intense berry fruit supported by acidity that is warm and rather balsamic, and by tannins that are fairly smooth, but do have a slight cedar-laced burr, and flow into a clean rather bitter berry fruit finish. It's pleasant in a fairly traditional key, and will drink well with grilled meats or roasts, though I would give it at least a year and better two to get its bearings about it; expect it to age well for 10-15 years. Deep pigeon blood ruby with black reflections and almandine rim. It's darker than many. The bouquet is intense, and quite modern, with languid ripe cherry plum fruit supported by fresh floral accents that are a little unusual in a Brunello, and by greenish spice as well; it gives an impression of a flapper reclining on an ottoman. On the palate it's quite ripe, with rich plum fruit supported by mineral acidity and by tannins that are smooth and sweet, and flow into a clean plum laced finish with some sweetness to it, and also a dry tannic underpinning. It's a very ripe wine, and to enjoy it you have to enjoy a flavor cast shifted more towards plum/prune; if you like the style it will work well with rare to medium-roasted or grilled meats, and with flavorful stews, including spicier variations such as goulash. It's not what I look for in a Brunello, but is a nice interpretation in a ripe to overripe key. Deep black almandine with black reflections and almandine rim. The bouquet is fairly rich, with sour cherry fruit that gains depth from slight smoky accents and pleasing leaf tobacco and spice; it's still very young and has a ways to go yet. On the palate it's ample, with bright sour cherry fruit supported by fairly intense berry fruit acidity and by smooth tannins that have slight greenish accents and flow into a clean fairly rich sour cherry finish. Pleasant, though very young, and it needs time, at least a couple of years, to begin to figure out what it is, and will then age for at least 10 years and more likely 15. Considerable potential for the future. Deep black almandine with black reflections and almandine rim. The bouquet is muted, though swishing brings up some spice and alcohol with delicate underlying berry fruit and some leaf tobacco and graphite shavings with slight chalky spice. It's not really happy about being open. On the palate it's considerably brighter than one might have expected from the nose, with fairly rich sour cherry fruit supported by tannins that have a greenish veneer to them, and flow into a rather dry tannic finish. It's behind with respect to many, and needs another couple of years to be presentable; it will then age well for 10 - 15 years, becoming austere with time. If you like richer more fruit driven wines it will perhaps work less well for you. Deep almandine with black reflections and almandine rim. The bouquet is fairly rich, with slightly balsamic our cherry fruit supported by some peppery greenish accents and some spice, while there is also nose tingling acidity. On the palate it's full, with rich sour cherry fruit supported by clean sour cherry acidity, and by smooth sweet tannins that flow into a clean fresh sour cherry finish with a deft tannic underpinning. It's pleasant but very, very young, and needs at least another couple of years to get its bearings, and will age well for a decade thereafter. In terms of style, it's fairly traditional, revolving around sourness of fruit, and though it's too soon to say, I think it will display pleasant finesse too. Deep black almandine with black reflections and almandine rim. The bouquet is a bit rustic with balsamic warmth and sea salt supporting sour cherry fruit and a fair amount of alcohol. Nice depth and balance in a fairly traditional key. On the palate it's full, with rich cherry fruit supported by bright sour cherry acidity and by tannins are smooth and sweet, and flow into a long warm sour cherry finish that has a touch of sunny day to it. Quite pleasant in a traditional key, and if you like the style you will enjoy it very much; because of its acidity it will also be rather long-lived, and reward those with the patience to give it time. Deep black almandine with black reflections and almandine rim. The bouquet is fairly intense, with quite a bit of spice and some cedar but not much fruit On the palate it's ample, and fairly rich, with ripe plum fruit supported by sour cherry acidity and by smooth sweet tannins that flow into a clean fresh prune finish. It's ample, and pleasant in a rich quite ripe key, with ripe fruit that's supported by deft acidity, which keeps it from settling, and if you like the style, which is rather opulent, you will enjoy it, Give it a couple of year, however, because the nose is behind with respect to the palate and needs time to develop. In terms of accompaniments, it will work well with drier meats, or also slowly cooked hearty stews or roasts. Deep black almandine with black reflections and almandine rim. The bouquet is fairly rich, in a more rustic key, with balsamic accents and some leaf tobacco mingled with wet leather, and underlying dried orange peel and mineral acidity. On the palate it's bright, with fairly rich sour cherry fruit that has some dusky balsamic accents, and is supported by zesty sour cherry acidity, and by tannins that are warm and smooth, and display a nice tannic bite that carries into a fairly long slightly brambly tannic finish with bright sour cherry acidity. Very pleasant in a traditional key, and if you like the style you will enjoy it very much. Deep black almandine with black reflections and almandine rim. The bouquet is muted, though swishing brings up some dusky graphite shavings and some wet leather, with slight mustiness as well, and greenish hints that bring squash rind to mind. On the palate it's ample and quite ripe, with fairly rich cherry plum fruit supported by mineral more than fruit acidity, and by smooth sweet tannins that flow into a clean fairly fresh sour cherry finish with clean tannic underpinning. It's ample, and a bit riper than many, and also further behind than some on the nose. It needs a couple of years, and is a wine to consider if you prefer a slightly riper cast to the fruit, with some plum, though it's by no means overripe, and there's no flab to it. It just needs time. Deep black almandine with black reflections and almandine rim. The bouquet is moderately intense, with ripe plum cherry fruit supported by some leathery accents and underlying bitterness and spice, and, as it opens, some slightly musty dried orange peel. On the palate it's medium bodied, with moderately intense sour cherry fruit supported by moderate sour berry fruit acidity and by tannins that have a warm burr and flow into a fairly long warm sour cherry finish. It's a bit up in the air, and the nose is behind with respect to the palate, which is bright in a fairly traditional key, and I found pleasant. It needs another year at least for the nose to come together, and will age very well for a decade at least. Deep black almandine with black reflections and almandine rim. The bouquet is fairly rich, and quite ripe, with a fair amount of alcohol and some spice mingled with some vegetal notes and cherry prune fruit; it's still coming together but shows considerable promise. On the palate it's fairly rich, with cherry plum fruit supported by bitterness and by tannins that have a warm cedary overlay and flow into a warm tannic finish with sour cherry underpinning. It's very young and rather disjointed, and needs another year at least to get its bearings, and more time to really begin to show well. In short, it's a wine to wait for, because it has considerable potential but is simply too young now. But if you like the fairly traditional style you will enjoy it. Fairly dark almandine with black reflections and almandine rim. The bouquet is a bit rustic, with balsamic notes mingled with some leathery accents and some spice, but not much in the way of fruit. Rather, graphite shavings and hints of burlap. On the palate it's ample and rather bitter, with moderately intense cherry plum fruit supported more by bitterness than by acidity, and by tannins that are quite smooth and flow into a fairly long rather bitter finish with a dry slightly greenish tannic underpinning. It's more tired than many, and by comparison lacks verve. Black almandine with black reflections and almandine rim. The bouquet is fairly intense, with considerable bitterness mingled with graphite shavings and some rather unusual chemical aromas; a fellow taster says mothballs, and he's right. On the palate it's better than I expected, with fairly bright sour cherry fruit supported by sour berry fruit acidity, and by ample smooth tannins that flow into a clean warm tannic finish that is pleasant enough, but could be a little longer. It's very young, and clearly still coming together; I hope that the nose reflects the disjointedness of youth though that only time will tell. Deep black almandine with black reflections and almandine ruby; it's a little lighter than many. The bouquet is a bit more rustic, with balsamic notes mingled with fairly intense bramble and some alcohol mingled with what seemed almost cheesy at first swish, and then resolved into dusky bitterness. It's frankly dirty. On the palate it's ample, with moderately intense sour berry fruit supported by dusky sour berry fruit acidity that has slightly off-putting leatheyr accents, and by tannins that are fairly smooth, but have hazelnut shell notes. The palate reflects the nose, and it's not as clean as it might be. Deep black almandine with black reflections and almandine rim. The bouquet is fairly intense, with brambly berry fruit supported by a fair amount of cedar and some warmth, perked by spice as well. On the palate it's fairly rich, with slightly riper than expected plum prune fruit that has a slight brandied cast to it, supported by moderate acidity and by tannins that are decidedly greenish and lay a veneer over the tongue. The fruit is a little light for the structure, though this impression is also due to the aggressive youth of the tannins; it needs at least a couple of years to be remotely presentable, and will then age nicely for a decade or more in a slightly riper than middle of the road key. Black almandine with black reflections and almandine rim. The bouquet is bright, with leathery cherry fruit supported by some greenish accents and a fair amount of warmth and alcohol. It's fairly austere. On the palate it's full, with fairly rich cherry prune fruit supported by deft slightly mineral leathery acidity and by tannins that are warm and graceful, with slight leathery accents. It's in mid stride but promises to age quite nicely, becoming lacy with time. In terms of style it's more to the traditional end of the spectrum, and if you prefer richer fruit driven wines it won't work as well for you. Lively almandine with black reflections and almandine rim. The bouquet is muted -- it's still coming together -- with moderately intense sour cherry fruit supported by greenish accents and some balsam-laced cedar, supported by moderately intense alcohol. On the palate it's bright, with lively sour cherry fruit supported by fairly graceful sour cherry acidity, and by tannins that are warm and have a spicy burr that flows into a fairly long spicy finish. It's not quite as behind on the palate but needs time here too; it's fairly traditional in feel and very, very young, with a lost feel to it that brings to mind a toddler who has lost his parents. I would expect it to begin to work better in 3-5 years, and age well for 15 or more. Deep black almandine ruby with black reflections and almandine rim. The bouquet is muted at first swish, revealing mentholated accents and some spice with determined swishing, and also some hints of shellac. Not much fruit. fairly rich cherry fruit supported by some acidity. On the palate it's full, with moderately sour cherry fruit supported by lively berry fruit acidity and warmth, and by tannins that are still quite young and have a dry cedary overlay that flows into a decidedly dry finish. It needs a couple of years for the tannins to fold in, and to be frank I found them somewhat excessive because at present they overshadow the fruit, though this is a first impression of a very young wine. This said, it isn't an easy welcoming wine -- rather it demands time, and will reward those blessed with patience. Lively black almandine with black reflections and almandine rim. The bouquet is elegant, with sour cherry fruit supported by some cedar -- from large wood; it lacks the intensity of barrique oak -- and some alcohol; it's still coming together and has a ways to go, but does display pleasing deftness. On the palate it's bright, with fairly rich cherry fruit supported by bright sour cherry acidity and by tannins that have a warm greenish burr and flow into a clean rather tannic finish. It shows considerable promise in a fairly traditional key, but needs another year for the tannins to begin to smooth, and will reward those who have more patience. Deep black almandine with black reflections and cherry rim. The bouquet is powerful, and still coming together, with intense greenish vegetal intensity and some barnyard tang supported by deft leaf tobacco and some spice; there's not much fruit at present. On the palate it's full, with elegant rich cherry fruit that has hints of strawberry acidity and is supported by bright strawberry berry fruit acidity, and by smooth sweet tannins that flow into a clean sour berry fruit finish with a tannic underpinning that's quite smooth. It's elegant and graceful on the palate, while the nose is a little further behind; assuming the nose catches up it will be quite elegant in a powerful and rather sour fruit driven key. I would give it 3-5 years, and expect it to age well for 15. Deep black almandine with black reflections and almandine rim. The bouquet is fairly intense, with cherry fruit supported by greenish acidity, spice, and a fair amount of alcohol. On the palate it's fairly rich, with cherry fruit supported by cherry acidity, and by tannins that are ample and fairly blocky, and flow into a fairly quick cherry fruit finish. It's fairly direct, perhaps a little more than I would expect from a Brunello, but pleasant in a middle of the road key; the acidity is nice and helps to provide direction. More complexity would have been nice, but it is pleasant enough. A note: This is from Castelgiocondo, and (I think) derives from the Frescobaldi - Mondavi Luce project). Inky pyrope with black reflections and almandine rim. One of the darkest. The bouquet is powerful, with chalk and graphite shavings mingled with quite a bit of alcohol and some bitter accents, mingled with nose tingling acidity and licorice root. Not much fruit, though some slightly balsamic cedar does emerge. On the palate it's frankly atypical, with rich prune fruit supported by minerality more than acidity, and by blocky tannins that flow into a clean rather dry prune-laced tannic finish. It's distinct with respect to all the other wines tasted so far, both in terms of fruit register, which is much much riper and shifted to prune, and in terms of tannins, which are quite bitter, and graphite laden the way none of the other wines have been. If someone were to hand me a glass where all sorts of wines are being poured and say, "what is it?" I wouldn't know. This said, because of the richness of the fruit and the mineral acidity it will work well with hearty slow cooking meats, including spicier stews such as goulash, and is worth considering if you like the style. Deep black almandine with black reflections and cherry rim. The bouquet is fairly intense, with a fair amount of alcohol and some cedar, but not much fruit. Some sweet greenish accents, however. On the palate it's ample and soft, with moderately intense cherry fruit supported by smooth sweet tannins and moderate acidity that flows into a fairly quick finish. It's a bit flat, lacking in richness and verve, and has a settled feel to it. Deep pigeon blood ruby with black reflections and cherry rim. The bouquet is fairly intense, with sour cherry fruit supported by greenish vegetal accents and fairly bright acidity, while there is also a certain airy spice to it. On the palate it's ample and rich, with powerful cherry f that's quite ripe, with sufficient slightly vegetal acidity and some cedar as well, and flows into a fairly bright sour cherry finish. Graceful in a middle of the road key, displaying lively zest but also ripeness of fruit -- not overripeness -- and if it quite pleasant; if you like the style you will enjoy it, and even if you are a stark traditionalist you will find things to think about. Opulent. Deep pigeon blood ruby with black reflections and cherry rim. The bouquet is moderately intense, with slightly balsamic accents supporting some alcohol and moderate red berry fruit; it has an ample feel to it and is clearly still quite young. On the palate it's ample and rich, with fairly intense cherry fruit supported by cherry mineral acidity, and by tannins that have a warm rather blocky burr, and flow into a clean rich berry fruit finish. It's pleasant in a middle of the road key, though it needs at least another year and perhaps two to come together and for the nose to think about catching up to the palate. Lively black almandine with black reflections and cherry rim. The bouquet is fairly rich, and has a slightly candied feel to it, with ripe berry fruit supported by some cedar and greenish accents, while there are also dusky shadowy accents that bring to mind dappled shade. On the palate it's full, with bright sour cherry fruit that gains direction from sour cherry acidity and from fairly rich tannins that flow into a long cherry finish. Powerful in a middle of the road key, with cheeky rich cherry fruit that gains direction and depth from acidity and tannin; it's still young, especially on the nose, but promises nicely, and if you like the style, with is quite approachable but not as polished as the "international" school likes, you will enjoy it; it will contribute mightily to a steak or a hearty roast. Fairly pale almandine with black reflections and almandine rim; it's one of the paler wines. The bouquet is intense, with elegant cherry fruit supported by moderate cedar, some vegetal accents, and a fair amount of alcohol. Rich in a fairly traditional key, and very young. On the palate it's pleasant, with fairly rich sour cherry fruit supported by considerable cherry warmth and sour cherry acidity, and by smooth sweet tannins that flow into a fairly long sour cherry finish. It's graceful in a traditional key, and though very young will already drink with a steak, if you feel you must. Expect it to really come into its own in 3-5 years, however, and age well for 10-15 or more. Deep black almandine with black reflections and almandine rim. The bouquet is fairly rich, with ripe cherry prune fruit supporte dby some spice and slight greenish vegetal accents that add depth, also hints of berry fruit jam. On the palate it's fairly rich, with lively cherry plum fruit supported by fairly bright sour berry fruit acidity with some vegetal overtones and by tannins that are warm and rather blocky, and flow into a clean rather tannic finish. It's quite young, and needs at least a year and perhaps two to come together and begin to show its best; in terms of fruit cast it is a bit unusual, with a mixture of ripe cherry and some plum -- some overripening, but it's not taken to extremes, while the acidity does provide direction and though not really strong is quite enough to do the job. In short, it's middle of the road and woefully young; it will be pleasant, and may have a certain richness though I wouldn't venture much further than to say that it won't be tremendously modern in style. Deep black almandine with black reflections and cherry rim. The bouquet is fairly intense and rather languid, with jammy prune fruit laced with black graphite shavings and some cedar, while there is also some not camphor but slight sweet balsamic notes. On the palate it's fairly rich, with warm cherry plum fruit supported by fairly bright sour cherry acidity and by tannins that have a warm cedary burr and flow into a fairly long cedar laced burr with considerable mineral acidity. It's fairly opulent, in a ripe fruit driven key, and will drink well with succulent roasts or grilled meats. But do give it time, because both the nose and the tannins need at least a couple of years to come together and smooth and develop. When it's ready it will be fairly modern in style, I think, though that's for the future. Black almandine with black reflections and almandine rim. The bouquet is powerful and quote oaky, with considerable cedar and some pungent shellac supported by spice and herbs, a mixture of mint and rosemary, and slight nose tingling acidity, but not much fruit. It stands out with respect to the majority of wines, in part because the oak is more evident, and in part from the herbs. On the palate it's smoother and rounder than I expected, with moderately intense cherry fruit supported by warm berry fruit acidity that's almost hesitant, as if it doesn't want to make a stir -- though it does provide direction -- and by smooth sweet tannins that have a delicate vanilla and cedar underlay, and flow into a moderately long warm sour cherry finish. It's a more delicate rendition of Brunello, and if you're looking for power it's not here. Rather, it displays a certain grace in a softer smoother but not at all overripe key. Black almandine with black reflections and almandine rim paling to orange. The bouquet is fairly intense, and rather rustic, with barnyard tang mingled with balsamic accents and a fair amount of alcohol, and also some dusky bitterness and herbs, both sage and rosemary; there's not much fruit. On the palate it's ample and fairly soft, with moderately intense graceful sour cherry fruit supported by sour berry fruit acidity -- some red currants to it -- and by tannins that are ample and quite smooth, and flow into a warm sour cherry finish with lasting warmth. Quite traditional, in a slightly understated key, and if you like the style, which is rather willowy, you will enjoy it, and it will become lacy and ethereal with time. If you prefer more powerful expressions of Brunello or a more modern style you will like it less. But I found myself rather enjoying it. Fairly deep black almandine with black reflections and almandine rim. The bouquet is fairly rich, with jammy cherry fruit supported by some herbal notes, and by a fair amount of alcohol. It's quite young, and still coming together. On the palate it's a bit understated, with moderately intense red berry fruit supported by sour cherry acidity and by tannins that have a warm cedary burr to them and flow into a fairly warm rather tannic finish with underlying cedar. It's behind, and I found it lacking in tightness and brightness; the acidity is there, and lots of alcohol that confers considerable warmth, but the tannins are a bit too blocky with an excess of cedar, at least at present, and I would give it 3 years to come together -- it's in what an Italian might call a fase interlocutoria, in which it is biding its time. It may emerge upstanding, but the tannins gave me pause. Deep black almandine with black reflections and almandine rim paling to white. The bouquet is moderately intense, with dusky wood smoke and some spice mingled with alcohol and slight jammy accents, but not much clearly defined fruit. On the palate it's ample and quite smooth, with tart sour cherry fruit supported by cherry acidity and by tannins that are smooth and soft, and flow into a warm sour cherry finish that has slight hints of sour sweetness. It's a bit in the air, with the nose a bit behind the palate. Though I liked the sourness of the fruit I'd have liked a little more forcefulness to it, and to the tannins, which are more understated than I look for in a Brunello. If you want a delicate interpretation in a fairly traditional key you will enjoy it, and it will age gracefully in a rather lacy key. Deep black almandine with black reflections and almandine rim. The bouquet is fairly intense, in a rich ripe fruit driven key with a fair amount of underlying cedar and some herbs, in particular sage, and slight mint as well. Opens nicely too. On the palate it's ample, with fairly rich cherry plum fruit supported by moderate berry fruit acidity and by tannins that have a warm cedary burr and flow into a fairly warm tannic finish with sweetish accents that are in part wood fruit interaction. It's fairly heavily oaked and is still working though it; if you like the style, which is middle of the road and quite ripe but not overripe you will enjoy it. If you prefer more acidic, more traditional Brunello it will grab you less. In any case, it needs at least a couple of years to get its bearings and come together. Fairly deep black almandine with black reflections and almandine rim. The bouquet is rich, with floral accents mingled with sour cherries and some dusky spice with hints of cedar as well. Pleasant and rather graceful, though it's still coming together. On the palate it's ample and quite smooth, with fairly rich sour cherry fruit supported by moderate warmth, and by tannins that are fairly smooth, though they do display a somewhat blocky cedar-cast in the finish, which is fairly long, with moderate sour cherry acidity. The fruit is pleasantly ripe -- cherry with acidity -- but the tannins are a bit clumpy now, for want of a better descriptor; the wine was subjected to a fair amount of oak, which should provide smoothness and polish in the future, but it hasn't gotten there yet. It's pleasant, in a softer key, and if you like that you will like it. I'd have liked a little more verve, and this is a stylistic quibble. Deep black almandine with black reflections and almandine rim. The bouquet is fairly intense, with a great rush of chicken broth. Savory canned chicken broth, and a fellow taster was talking about sugo, meat sauce. Unusual at best, and there is also some cedar, while there are also herbs hidden in the broth, and perhaps some fruit, though it's hard to tell. On the palate it's aple, with rich soft cherry fruit supported by moderate berry fruit acidity that has some savory brothy accents, and is supported by ample sweet tannins that are a bit blocky, and flow into a clean rather mineral tannic finish. It's ripe and very soft but not overripe, and both particular and atypical of Brunello. If you like the style -- big soft wines with soft ripe -- not overripe in this case -- fruit supported by ample tannins -- you will enjoy it, but you have to know what you're getting into. It's not what I think of as Brunello. Deep almandine with black reflections and almandine rim. The bouquet is fairly intense, and a bit unusual, with wet plaster that blows off to reveal herbal accents and some cherry fruit supported by a fair amount of alcohol and some greenish vegetal notes. On the palate it's fairly rich, with sour cherry fruit supported by fairly bright sour cherry acidity and by tannins that are fairly smooth, though they do display a warm slightly blocky vegetal burr in the finish, which has lasting warmth. It's ample in a middle of the road key, and needs another couple of years at least for the tannins to smooth and soften, though I suspect they will always have a slight aggressiveness to them from wood. It made me think, and this is usually a good thing; if you like the style, which is middle of the road, you will enjoy it. Deep black almandine with black reflections and cherry rim. The bouquet is intense, and quite ripe, with cherry plum fruit supported by cedar-laced spice and some herbal accents, and some jammy notes as well. Powerful, and it's still coming together. On the palate it's brighter than I expected, with fairly rich sour cherry fruit supported by bright sour cherry raspberry acidity and by tannins that are decidedly splintery, and have yet to smooth -- quite a bit of oak here, and it is angry yet and flow into a fairly long warm finish with dry tannic underpinning. It's a child and needs time, at least a couple of years and three would be better, and will age well for 15 at least. It will reward those withg patience, but do give it time. Bright almandine ruby with black reflections and almandine rim. The bouquet is intense, with ripe cherry fruit supported by dusky spice and a fair amount of alcohol with some greenish vegetal accents and as it opens some cedar. On the palate it's fairly direct, with sour cherry fruit supported by moderately intense sour cherry fruit that has some dusky accents, and by tannins that have a warm savory burr and flow into a fairly tannic finish with some sour cherry accents as well and hints of cocoa. It's still a couple of years from being ready to drink; the tannins have an angriness to them that will fold in with time, but hasn't yet. I'd have liked a little more force and verve to the fruit, which is pleasant and though not settled and lacks what Italians call slancio, or drive. At present; as the tannins smooth it will likely gain some, and I would give it time. Elegant almandine with black reflections and almandine rim. The bouquet is moderately intense and in mid stride, with some herbal accents and some graphite shavings with underlying cherry fruit that's still working on coming out. Not quite a work in progress, but definitely behind. On the palate it's ample and fairly rich, with cherry fruit that's sour but a little riper than some, supported by sour berry fruit acidity and by tannins that are smooth and a bit understated, and flow into a clean sour cherry finish. It's a bit understated, and I'd have liked more drive than I found, though this is also youth; there's also a fair amount of alcohol, and it has a ways to go. Deep black almandine with black reflections and cherry rim. The bouquet is muted, though swishing brings up some berry fruit supported by plums and slight fairly bright greenish accents, with a fair amount of alcohol as well. On the palate it's fairly rich, with sour cherry fruit supported by some greenish berry fruit acidity, and by tannins that have a warm greenish peppery burr and flow into a fairly tart berry fruit finish. It's very young, and needs at least a couple of years for the tannins to smooth, but is fairy graceful, and will age nicely for a number of years. The fruit cast is fairly traditional, and it will develop nicely, though it needs time. Something to think about if you like the style, and I found it growing on me. Deep black cherry ruby with black reflections and almandine rim. The bouquet is fairly intense, and rather jammy with cherry fruit and considerable peppery nutmeg spice and some pungent leathery accents. The overall impression is brooding. On the palate it's moderately intense, with rather generic sour cherry fruit supported more by minerality than fruit based acidity, and by tannins that have quite a bit of cedar to them, and flow into a rather dry finish with slight sour cherry brightness. I'd have liked greater richness of fruit and brighter acidity, because it comes across as a bit more settled than I might have liked. In its defense it needs at least a couple of years for the tannins to smooth, and when they will the wine will brighten some, but I must write about what's in the glass now. Deep black cherry ruby with black reflections and almandine rim. The bouquet is fairly intense, in a rather pungent key, with moderate plum fruit and quite intense cedar that has some redwood accents to it, and some savory notes as well that bring bouillon to mind. On the palate it's ample and quite smooth, with sour cherry fruit supported by sour berry fruit acidity and by tannins that are ample and rather blocky, and flow into a clean dry fairly tannic finish. It's in mid stride, especially on the nose, and needs another couple of years to come together and forge a unified whole; at present the tannins overshadow everything in the finish with considerable splinteriness, and I hope that they will smooth with time. Time will tell, but I think it will always be fairly tannic in a peppery key, and is a wine you should consider only if you like this style. Deep black almandine with black reflections and almandine rim. The bouquet is intense, with bright jammy cherry fruit that has fairly intense vegetal accents and some peppery spice with some underbrush and wet leaves as well. Fairly rich. On the palate it's bright, with fairly sweet jammy cherry fruit that gains direction from moderate sour cherry acidity and is supported by tannins that are fairly smooth and flow into a clean sour cherry finish with tannic underpinning. It's pleasant in a rather opulent key, and if you like the style, which is bright and sunny, you will enjoy it. It does however need a couple of years to get its bearings and come together, and will subsequently age well for a decade at least. Pale almandine with black reflections and almandine rim; it's paler than many. The bouquet is fairly intense, with pungent green leather and some balsamic accents mingled with some spice and some dried mushrooms, with fairly intense herbal accents as well -- towards artichoke. On the palate it's bright, with lively sour cherry fruit supported by deft sour berry fruit acidity, and by tannins that are warm and smooth, with a slight peppery burr, and flow into a clean bright sour cherry finish. It's fairly traditional in key, and bright, and though it needs another couple of years for the tannins to smooth will already work with a steak (if you must), and will also age very well for a number of years. Worth seeking out. If you like the style. Fairly pale almandine with black reflections and almandine rim; it's one of the paler wines poured. The bouquet is fairly rich, with sour cherry fruit supported by greenish accents and some green leather, and as it opens a fair amount of alcohol that confers a certain sweetness, and some hints of underbrush. On the palate it's ample, with fairly soft sour cherry fruit supported by alcohol that confers sweetness, and by tannins that are smooth and fairly sweet, while direction comes from fairly bright sour cherry acidity. It's pleasant in a tart key, and if you like the style you will enjoy it. If you prefer richer, rounder fruit it won't work as well for you. Black almandine with black reflections and almandine rim; it's fairly pale. The bouquet is fairly intense and rather rustic, with a fair amount of alcohol and leafy pungency mingled with some greenish accents and slight menthol and nutmeg spice. On the palate it's ample, with fairly bright sour cherry fruit supported by sour berry fruit acidity and by tannins that are rather blocky, and flow into a rather sour finish. I'd have liked a little more depth and verve; it's not settled, but not really chomping at the bit either. Deep black cherry ruby with black reflections and cherry rim. The bouquet is fairly intense, and a bit riper than some, with cherry plum fruit supported by greenish accents and a fair amount of cedar, and also a fair amount of alcohol. It needs time. On the palate it's fairly rich, with ripe cherry fruit supported by moderate berry fruit acidity and tannins that are greenish and rather blocky, and flow into a decidedly tannic finish. It's still up in the air and tumbling; there's quite a bit of tannin, some from oak, and it needs at least a couple of years to begin to absorb it all. This said, I'd have liked a little more brightness overtones the fruit, which is slightly lacking in acidity. Deep black almandine with black reflections and almandine rim. The bouquet is intense, and mentholated, with greenish notes and a fair amount of alcohol mingled with cocoa and some dark chocolate. A lot of wood, which at present overshadows the fruit. On the palate it's ample, with moderately intense cocoa-laced cherry fruit supported by some berry fruit acidity and by tannins that have a warm slightly splintery burr, and flow into a fisnish that quickly settles into lasting warmth. It's heavily oaked and needs a couple of years to digest it, though I think it will always be fairly oaky; my problem with it is that there's not as much fruit as I might have liked to contrast the oak. We'll see how it cleans up, in 2-3 years' time. Deep almandine with black reflections and almandine rim. The bouquet is fairly intense, with quite a bit of alcohol and moderate shellac mingled with some vegetal notes and spice from wood, though there's less fruit than I had hoped for. Some cedar, however. On the palate it's bright, with fairly rich cour cherry fruit supported by lively sour cherry acidity and by tannins that have a lively peppery burr and flow into a bright sour cherry finish with lively tannic underpinning. It's very young, in a tart key that has a fair amount of wood it will have to absorb over the next 2-3 years, and will age well for a number of years thereafter. It's pleasant in a rather aggressive middle of the road key, but needs time for the nose to develop and the tannins to smooth. I would expect it to age well for at least 10-15 years. Deep black almandine with black reflections; it's darker than many. The bouquet is muted, though swishing brings up some underbrush and a fair amount of cedar with some shellac and an underlying coolness, but not much fruit. On the palate it's ample and decidedly bitter, with moderately intense rather generic berry fruit supported by dusky bitterness and minerality more than acidity, and it flows into a rather bitter finish with a blocky greenish tannic underpinning. I'd have liked more fruit than it displays. This said, it's woefully young, and frankly overtannic, at least for me; I wonder if it will ever absorb all the tannins. Fairly rich almandine ruby with black reflections and almandine rim. The bouquet is ripe, with cherry plum fruit supported by a fair amount of alcohol and some sweetish accents that are in part the alcohol, and also by greenish accents and some spice. On the palate it's not as rich as I expected; there's fairly ripe smooth berry fruit that's supported by moderate sour berry fruit acidity and by tannins that are fairly smooth, with a distinctly bitter graphite underpinning and flow into a warm rather bitter finish that gives way to dry greenish tannins. It's pleasant in a fairly up front key, though a little more richness and charge to the fruit would have been nice, especially in the finish, which I found overly tannic and dry. It needs another couple of years at least to come together, and will then age for a decade at least. Lively almandine with black reflections and almandine rim. The bouquet is powerful, and quite green, with chalky accents and some red berry fruit as well, though what opens is the greenish vegetal cast; there's also greenish spice and some greenish acidity; it's powerful but the fruit is taking second seat to other aspects. On the palate it's quite ripe, with cherry plum fruit supported by quite a bit of alcohol and a fair amount of sweetness that is in part from alcohol, while there are also dusky bitter accents, which emerge more in the finish, while the tannins are ample and fairly well polished, flowing into a spicy tannic finish. It's a bit disjointed and needs a couple of years to get its bearings. It's quite aggressive, with tannins that make it rather dry. Black almandine with black reflections and almandine rim. The bouquet is a bit disjointed, with greenish accents mingled with some cedar and some berry fruit, and also a fair amount of alcohol and some shellac, which is likely from wood. On the palate it's ample and a bit soft, with broad sour cherry fruit supported by sour berry fruit acidity that has some red currant to it, and by tannins that are ample and smooth, and flow into a fairly soft tannic cherry finish with bright tart sour berry fruit acidity. It needs a year the tannins to smooth and for the nose to come together, but it's pleasant in a fairly tart aggressive key, and if you like the style you will enjoy it, and it will also age nicely for a number of years. If you prefer rounder more ripe fruit driven wines it will work less well for you. Deep black almandine with black reflections and cherry rim paling to almandine. The bouquet is fairly intense, with quite a bit of cedar mingled with greenish accents and some spice, and also some vegetal notes and slight herbs and brambles, with some pungent wood smoke, but not much fruit. On the palate it's full, with moderately intense rather dusky cherry fruit that has a slightly dilute feel to it, supported more by bitterness than by acidity (though there is some of that too) and by tannins that are quite dry, and flow into a clean dry tannic finish. It's a bit thin, and I found myself wishing for more fruit to better balance the tannins, This said, it does manage a certain grace, and will become ethereal with time. I would simply have expected a little more from the 2006 vintage, though it is in keeping with Poggio Antico's style, which revolves more around finesse than power.. Deep black almandine with black reflections and almandine rim. The bouquet is fairly intense, with considerable red berry fruit supported by some balsamic accents and green leather with pleasant spice as well; it's fairly rich and though young does display a certain grace. On the palate it's richer than I expected, with brandied cherry fruit supported by moderate balsamic acidity and quite a bit of alcohol, and by considerable bitterness, while the tannins are quite bitter and rather dusky, and it flows into a fairly alcoholic finish with strong tannic underpinning. It's a bit disjointed, and quite ripe with a lot of alcohol and quite a bit of tannin that has to be absorbed, while there isn't as much acidity as I might have hoped for. I would give it 3-5 years to come together, and then drink it with a steak or roast. Deep black almandine with black reflections and almandine rim. The bouquet is greenish, with a fair amount of alcohol and some spice. Not much fruit, however. On the palate it's full, and fairly soft, with cherry plum fruit supported by quite a bit of alcohol, which contributes to its sweet feel, and by moderate berry fruit acidity, while the tannins are ample and rather dusky, flowing into a clean rather dry tannic finish with sour cherry underpinning. I would have liked a little more richness and verve to the fruit. This said, it needs a couple of years to get its bearings and come together, and will subsequently age well for a decade at least. Deep black almandine with black reflections and almandine rim. The bouquet is intense, with quite a bit of shellac mingled with spice and cedar, but not much fruit; there is however a fair amount of alcohol too, and some leafy underbrush. On the palate it's fairly rich, and riper than many, with cherry plum fruit supported by bright plum laced acidity and tannins that are ample and rather blocky in youth, and flow into a warm fairly bright cherry plum finish with dry tannic underpinning. It's riper than I might have guessed from the nose, and also rather alcoholic; this said it needs another couple of years for the nose to catch up and the tannins to smooth, and will then work well for you if you like ample, fruit driven wines that are quite ripe, but do have a firm tannic underpinning. If you prefer livelier more aggressive wines it won't work as well for you. Deep black almandine with black reflections and almandine rim. The bouquet is moderately intense, with sour berry fruit supported by some green leather and quite a bit of cedar that emerges powerfully with the second swish, and quite a bit of alcohol as well. On the palate it's ample, with dusky cherry plum fruit supported by moderately intense plum acidity, and by tannins that are greenish and blocky, and flow into a fairly rich greenish tannic finish with lasting bitterness. It's still quite young, and needs another couple of years to get its bearings, at which point it will be pleasant in a fairly aggressive key, I think, and is something to consider only if you like this style. Deep black almandine with black reflections and cherry rim. The bouquet is muted, though swishing brings up some alcohol and fairly direct vegetal accents, with quite a bit of shellac as well, which is from wood. On the palate it's brighter than I expected, with fairly rich sour cherry fruit supported by bright sour berry fruit acidity, and by tannins that are ample and cedar laced, with a warm peppery burr that flows into a clean cedar laced berry fruit finish that's fairly long, winding up with tannic notes. It's quite young, and though it is a little awkward -- one has the impression of a teen in the middle of a growth spurt -- it will I think do interesting things over the next couple of years, and age well for at least a decade. Deep black almandine with black reflections and cherry rim. The bouquet is powerful, with a great rush of oak that is almost like a time warp to the glory days of the barrique, with some spice and moderate alcohol, but little else. It's like sniffing a barrel. On the palate it's unusual, with moderately intense savory berry fruit supported by an odd mix of chemical and cedar that is certainly wood-fruit interaction, and tannins that are warm and cedar laced, flowing into a spicy, peppery tannic finish with lasting mineral berry fruit acidity and metallic notes. A terrific amount of wood, and though the wine is doing its best to digest it, it never will completely. GARANTITO IGP. Rough, and Gentle. Like Oil. Garantito IGP: Lambrusco Mon Amour!